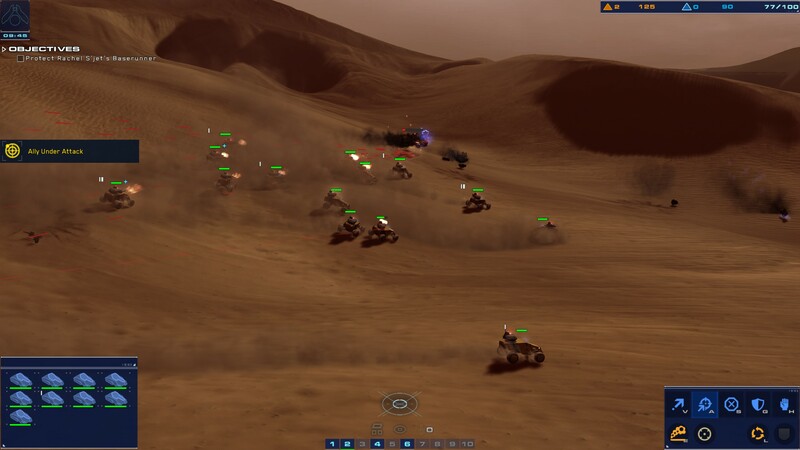 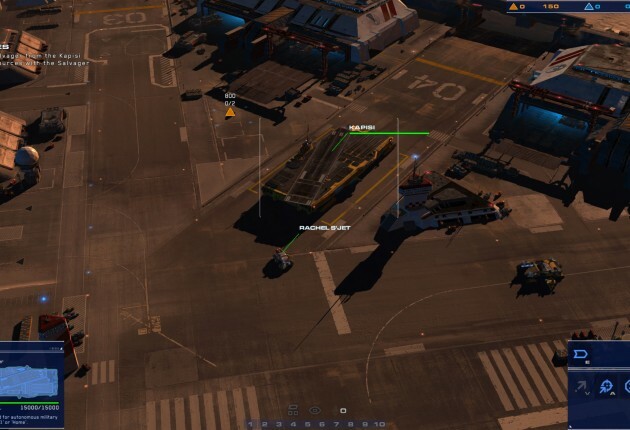 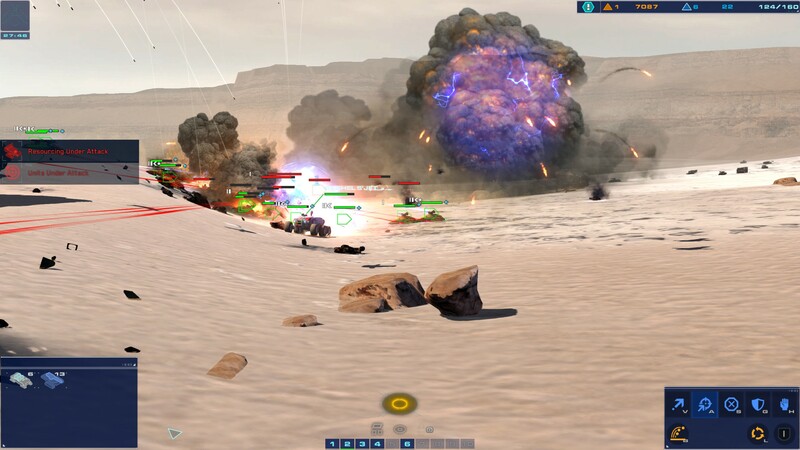 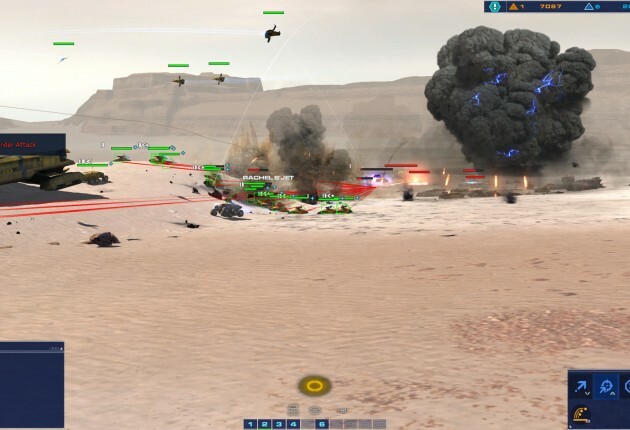 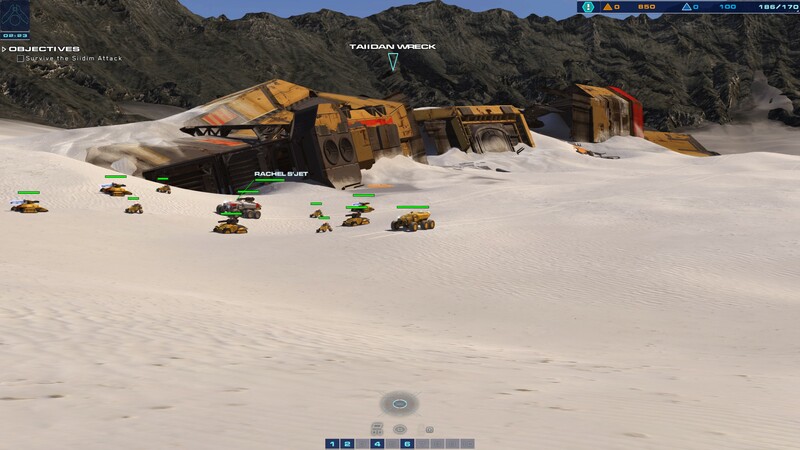 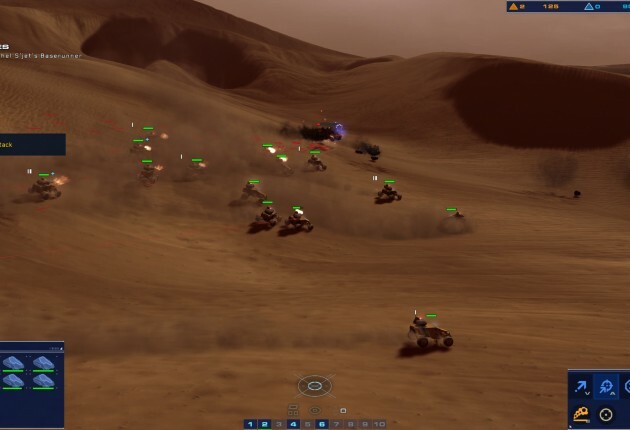 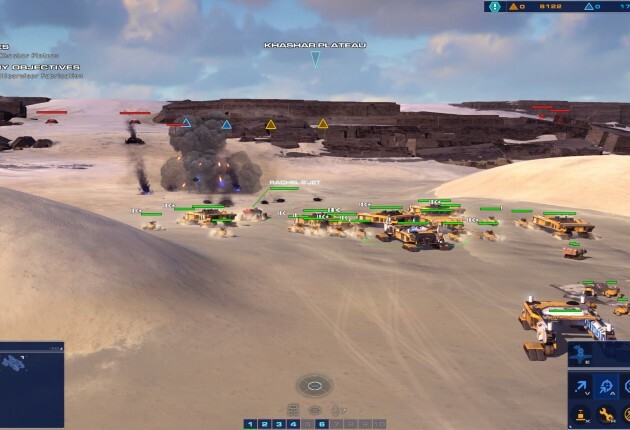 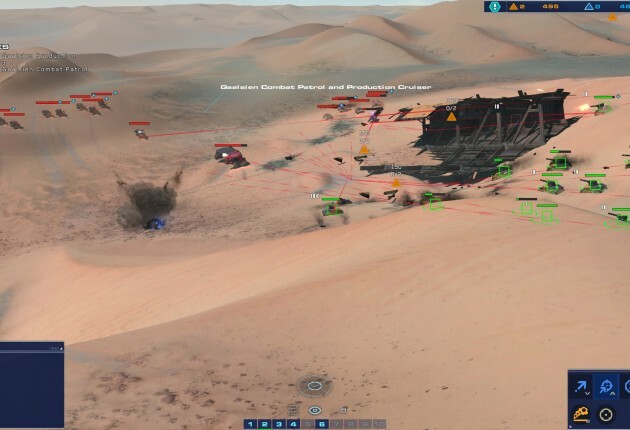 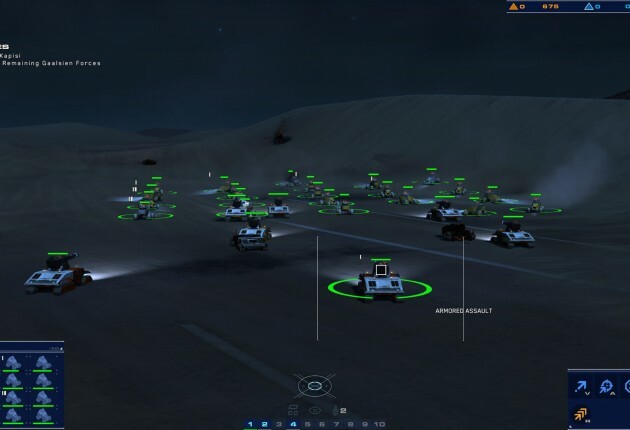 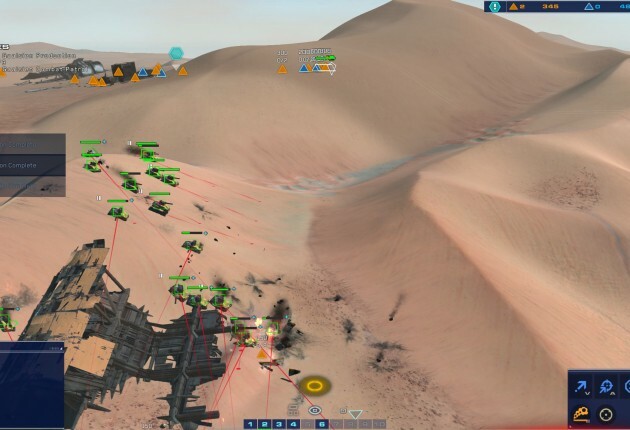 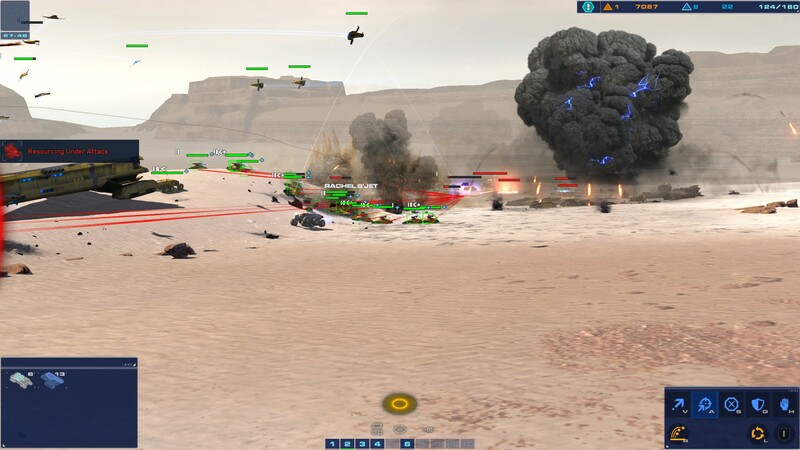 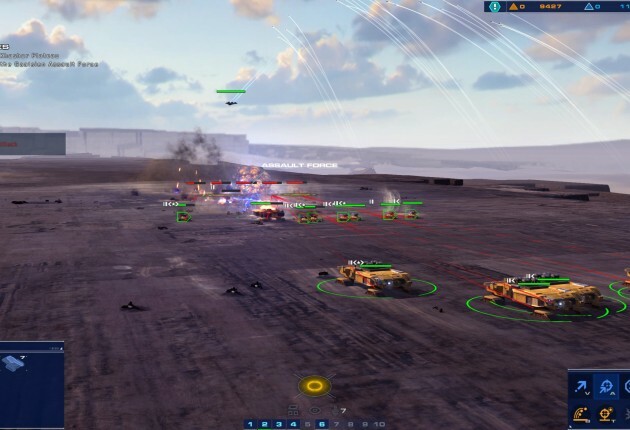 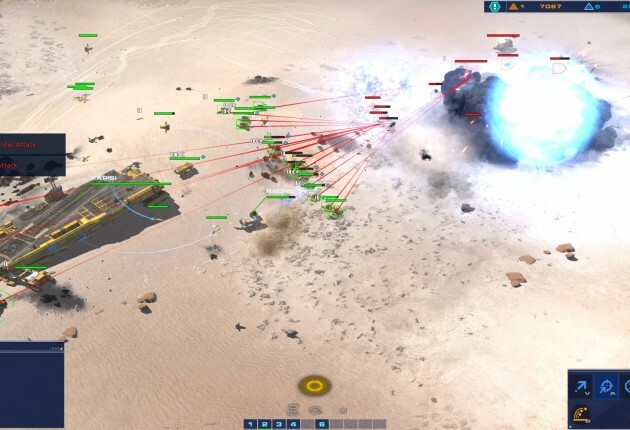 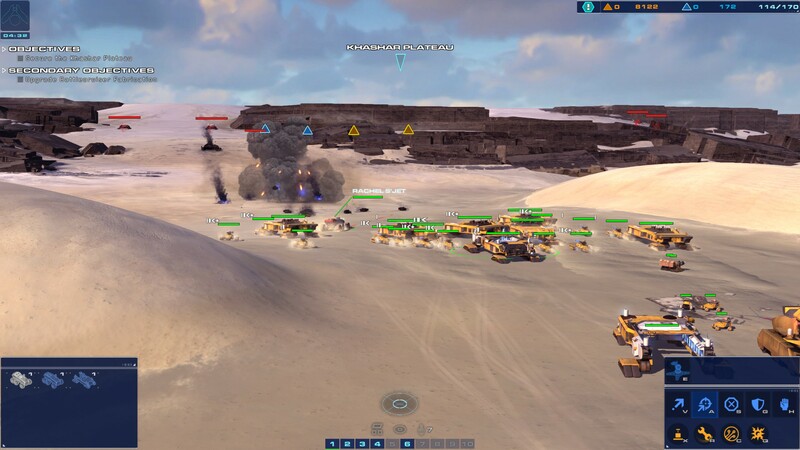 It’s been over a decade since an entirely new Homeworld game has been released, but fans had a reason to be excited when Blackbird Interactive and Gearbox Software announced Homeworld: Deserts of Kharak late last year. 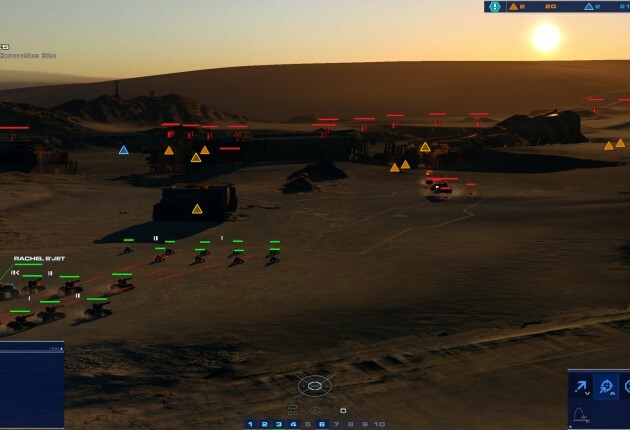 Releasing on January 20, the big question is whether Deserts of Kharak is a simple cash-in on the franchise or if it is truly a game worthy of the Homeworld name. 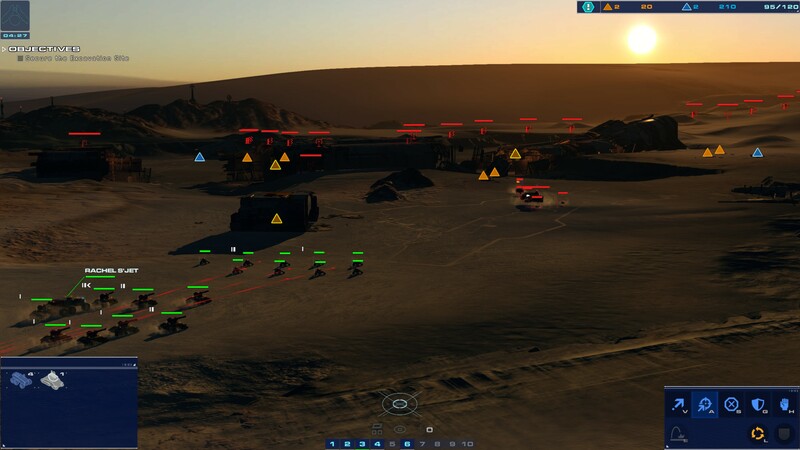 Serving as a prequel of sorts to the original Homeworld, Deserts of Kharak tosses out the space setting that has made the series famous in exchange for ground-based battles set on the planet of Kharak. 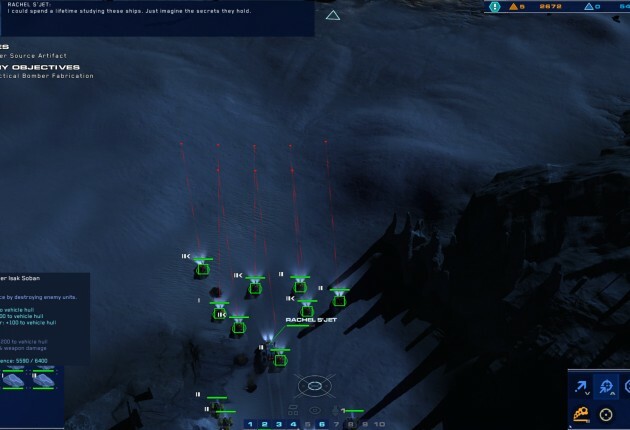 Was it the right move? 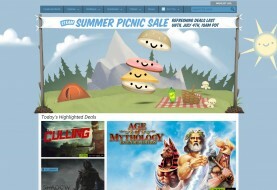 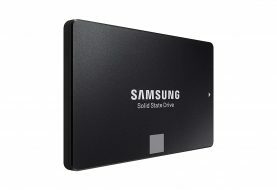 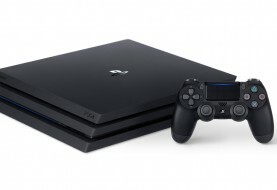 Read FullCleared.com‘s full review below. 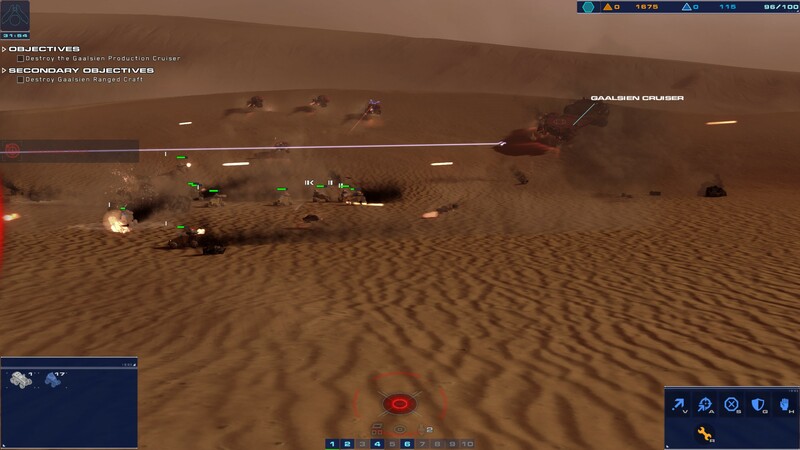 Before we dive straight into our thoughts on Deserts of Kharak, let’s take a look back at the history of Homeworld in case it’s all new to you. The original Homeworld was released in 1999, developed by Relic Entertainment, and was the first fully three-dimensional real-time-strategy game. Set in space, the original game resulted in Homeworld: Cataclysm a year later and Homeworld 2 in 2003. 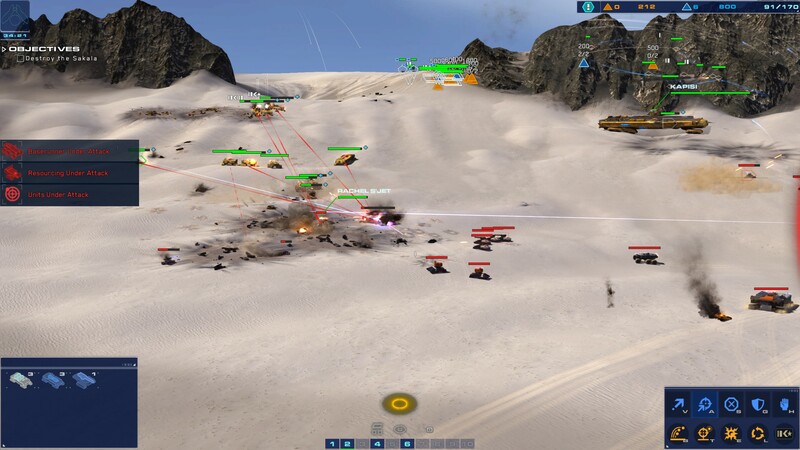 In 2003, THQ filed for bankruptcy and Gearbox Software bought the rights to the Homeworld IP. 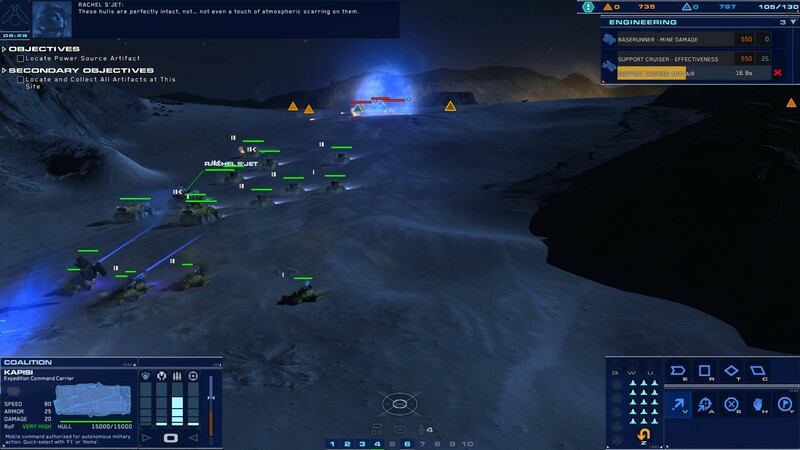 Late year, the Homeworld Remastered Collection was released, bringing the original Homeworld and Homeworld 2 to a new generation of gamers. 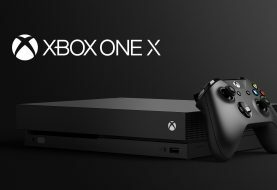 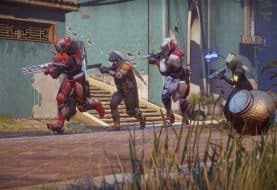 Fully updated from the ground up for modern PCs, we absolutely loved our experience with the two games and was surprised by how well their mechanics held up so many years later. 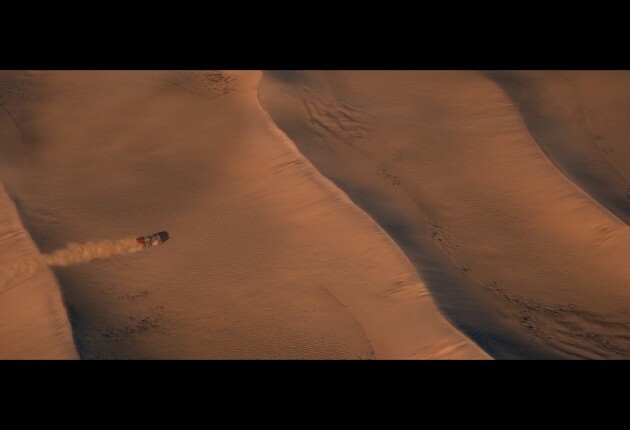 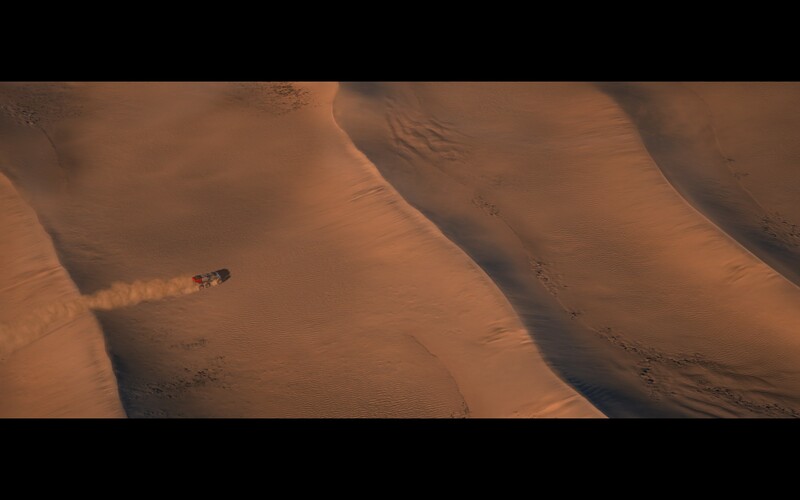 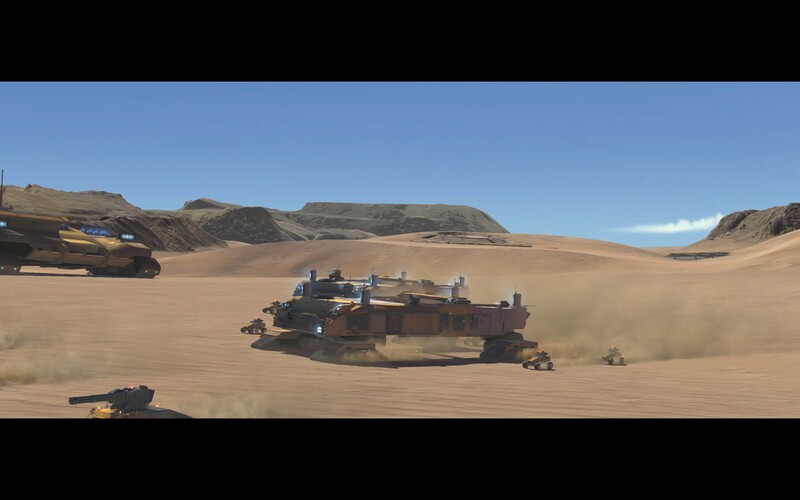 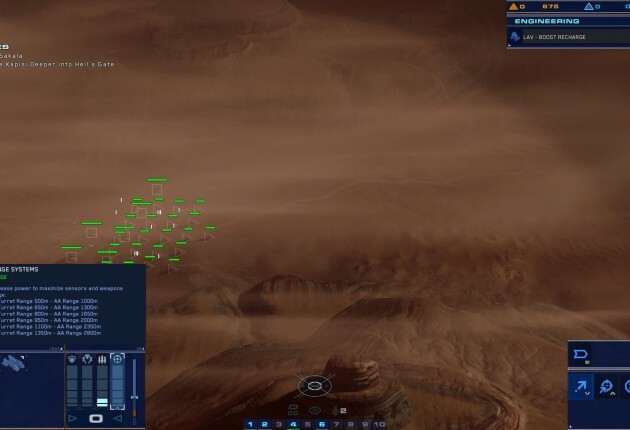 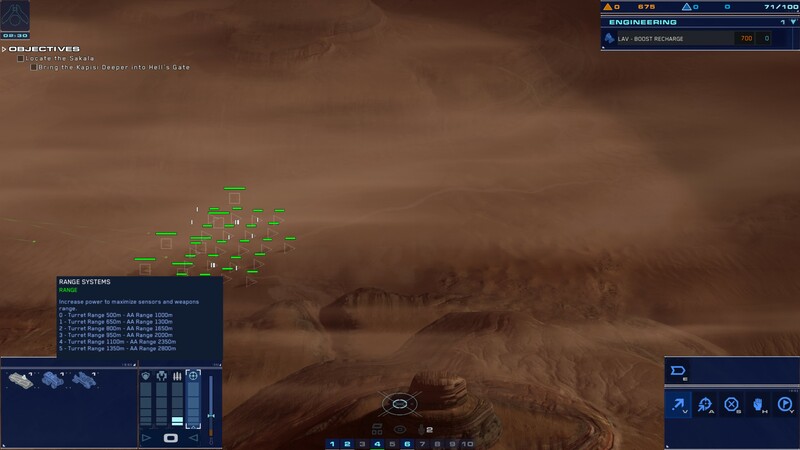 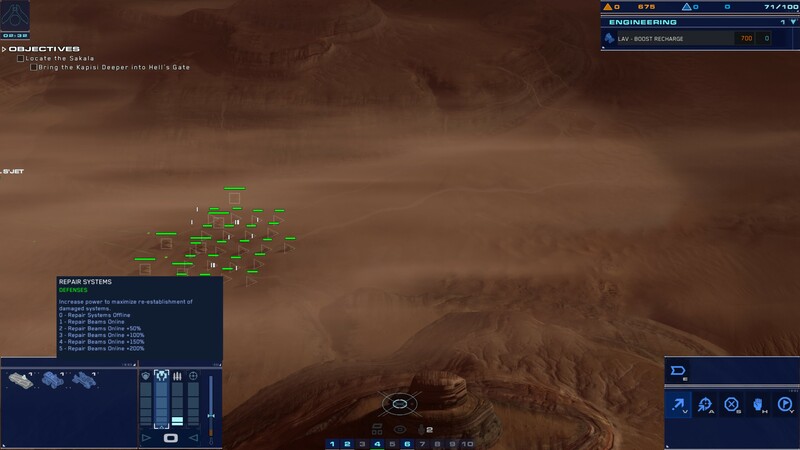 Needless to say, we were excited to see how Deserts of Kharak would play without Homeworld‘s notorious space setting. 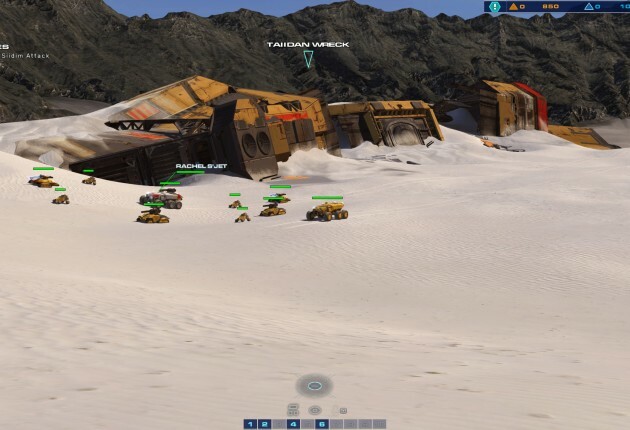 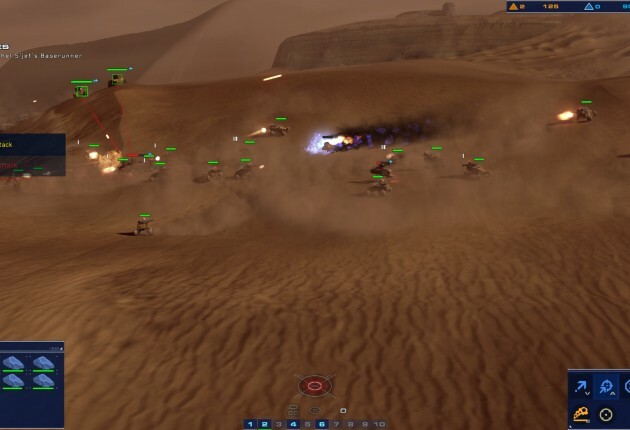 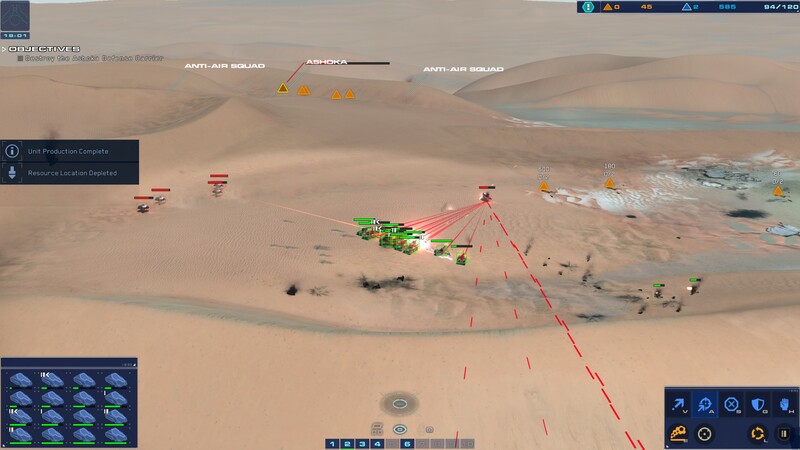 For a series that thrived on its appeal for having truly three-dimensional battles in space, Deserts of Kharak gets rid of the z-axis for a more traditional real-time-strategy experience that takes place on the ground. 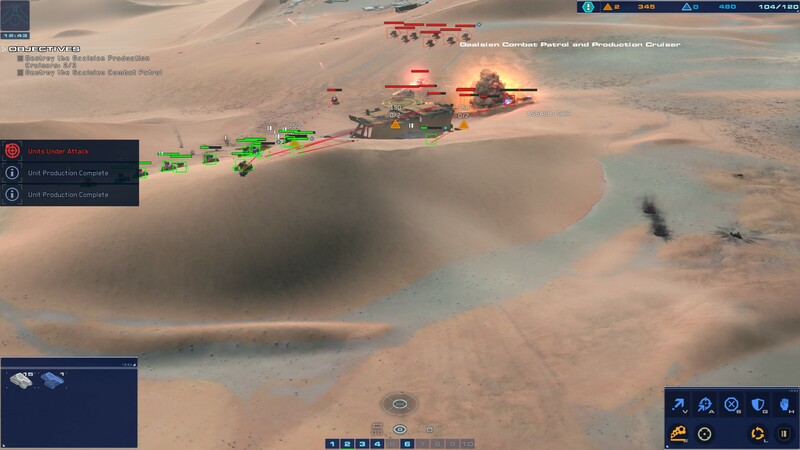 But there’s no reason to worry if you’re a Homeworld fan; Deserts of Kharak plays like a Homeworld game should through and through. 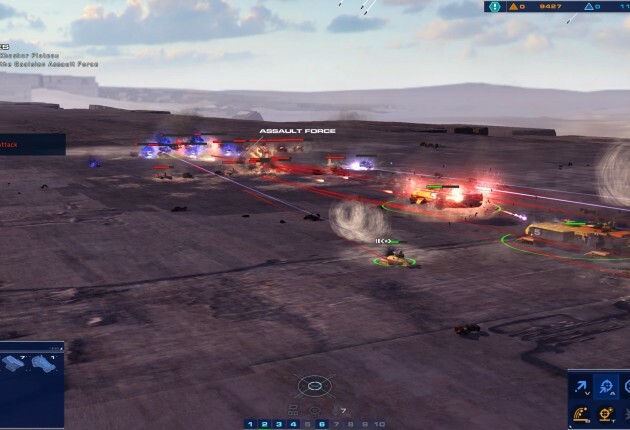 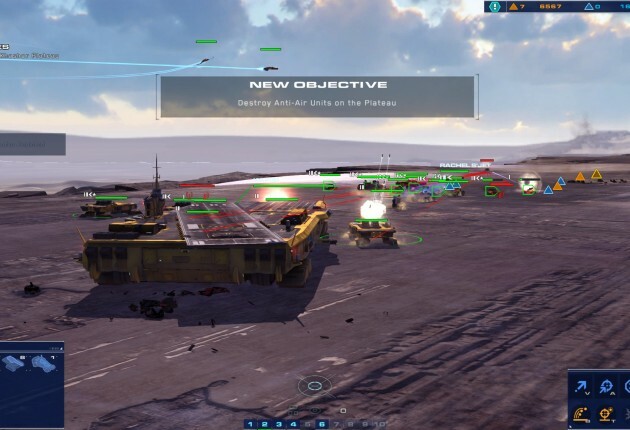 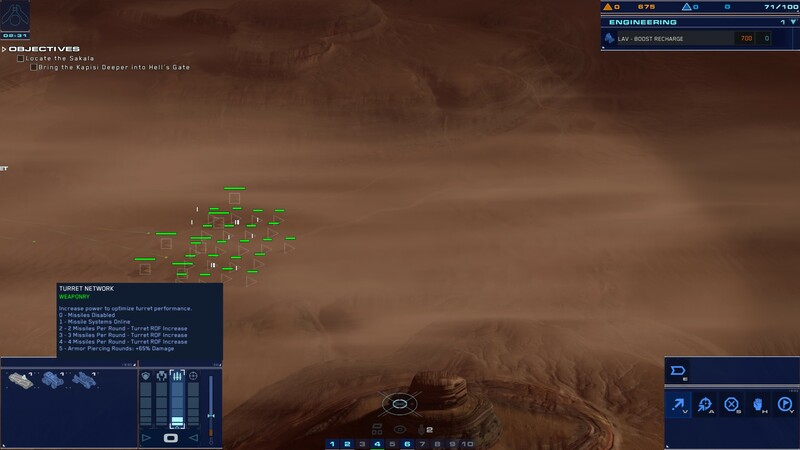 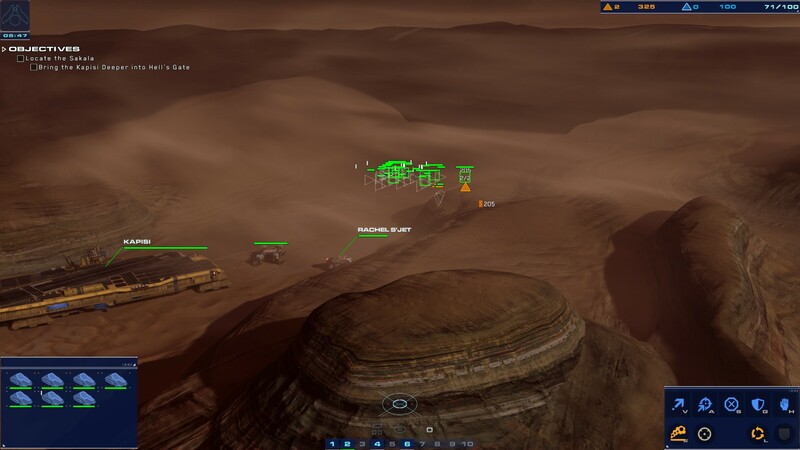 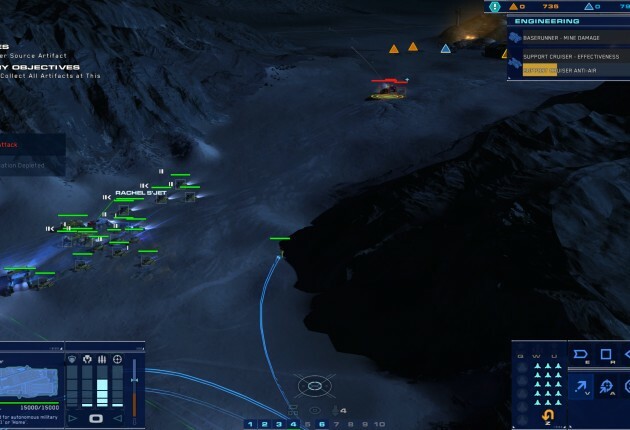 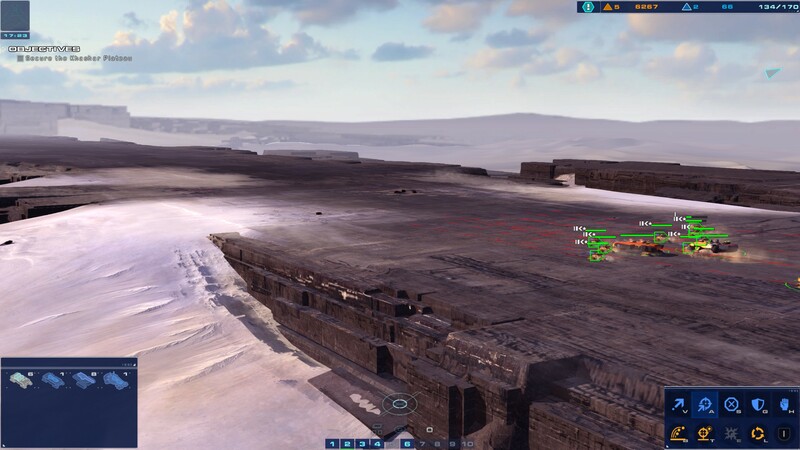 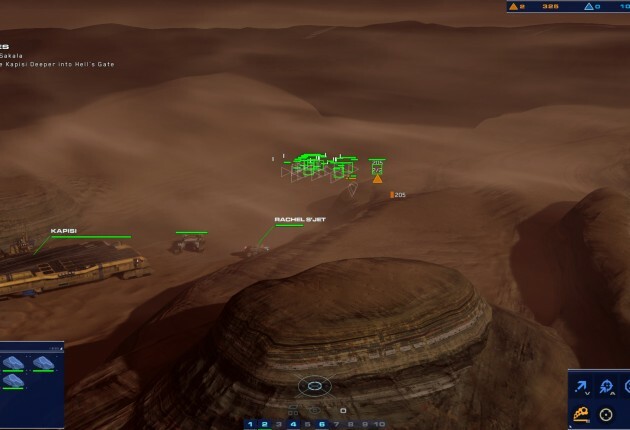 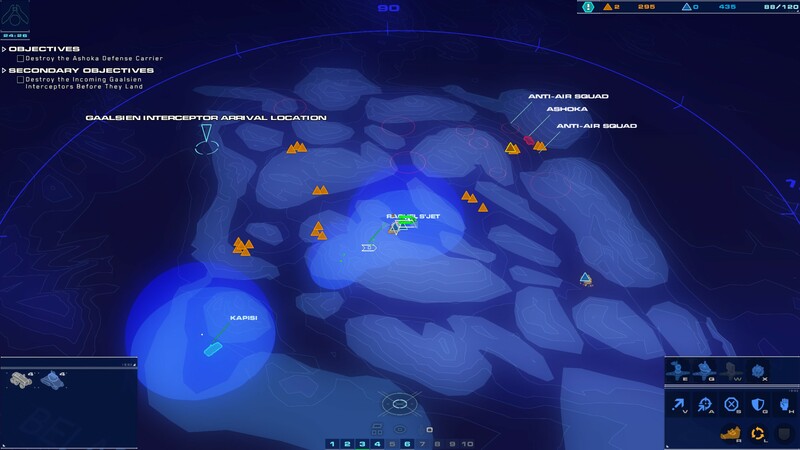 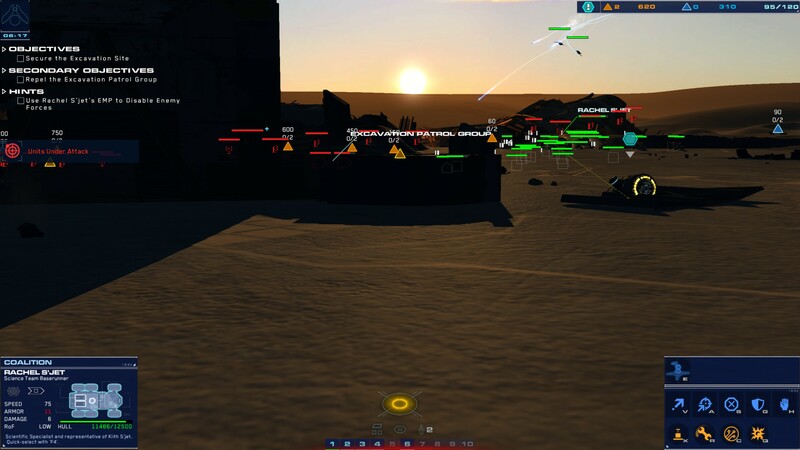 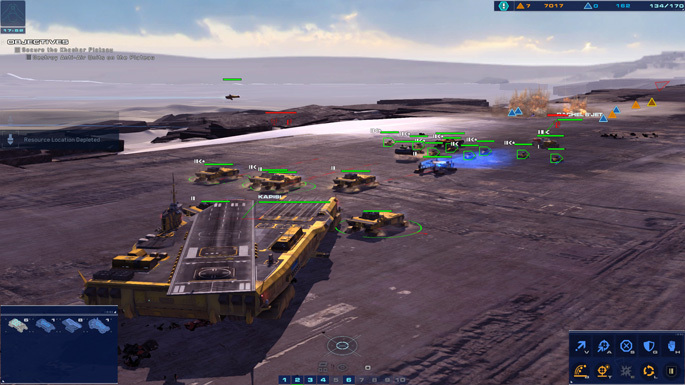 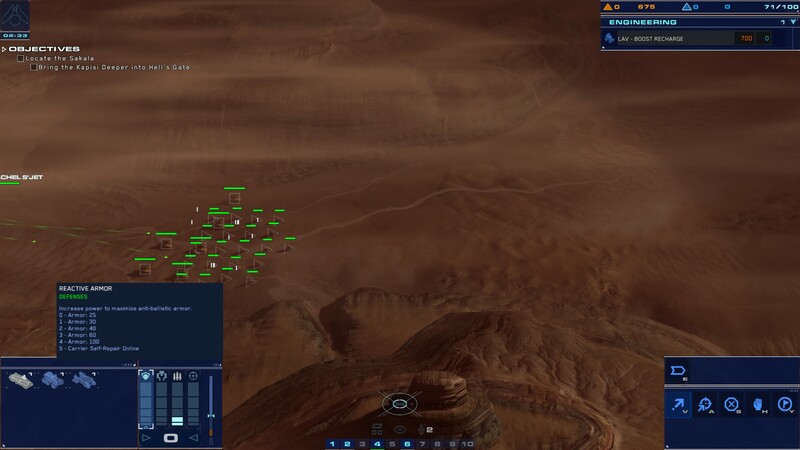 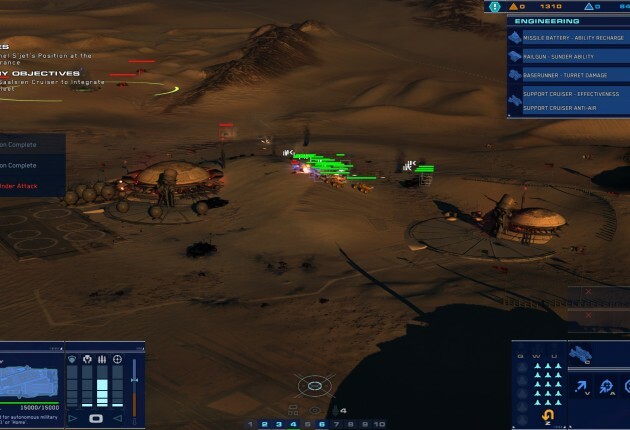 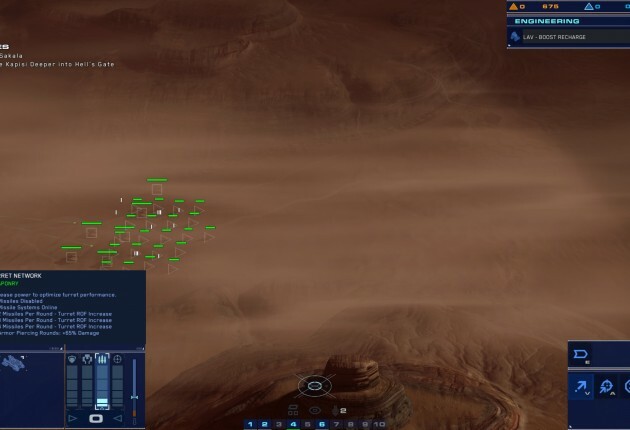 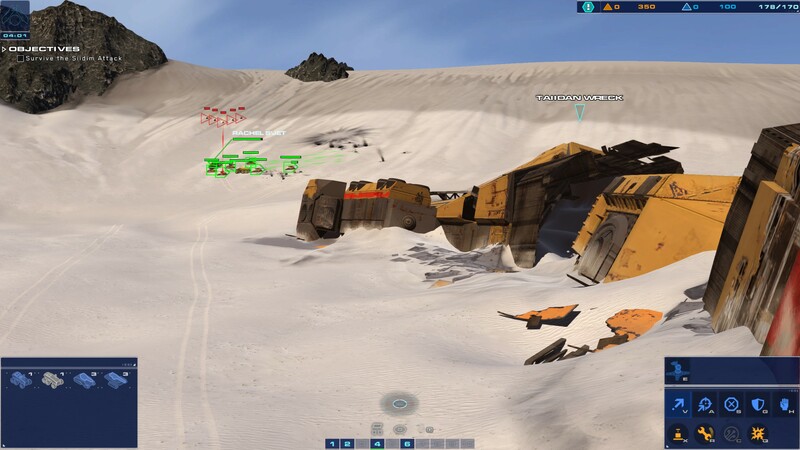 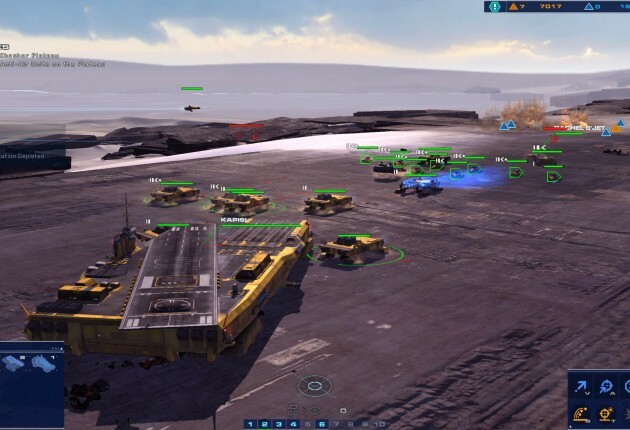 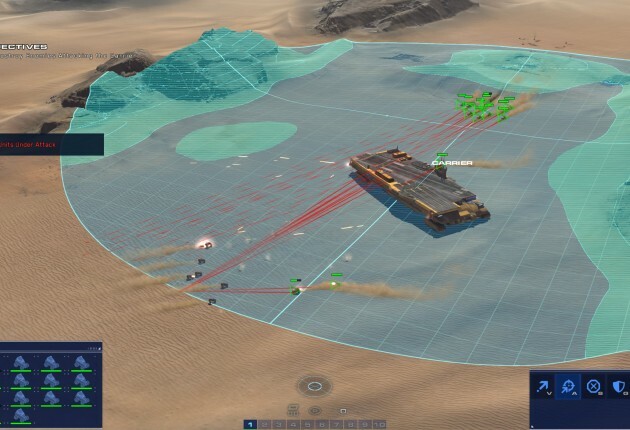 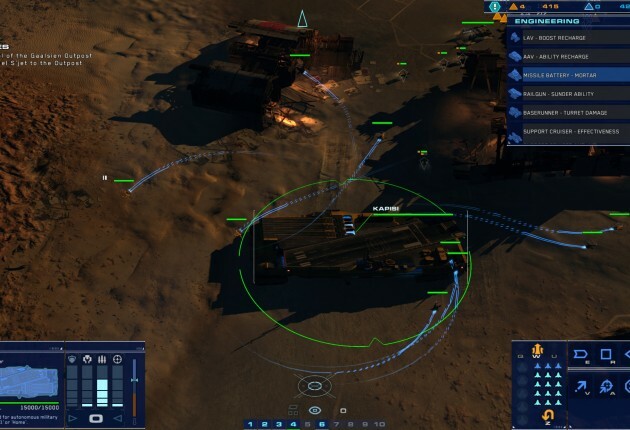 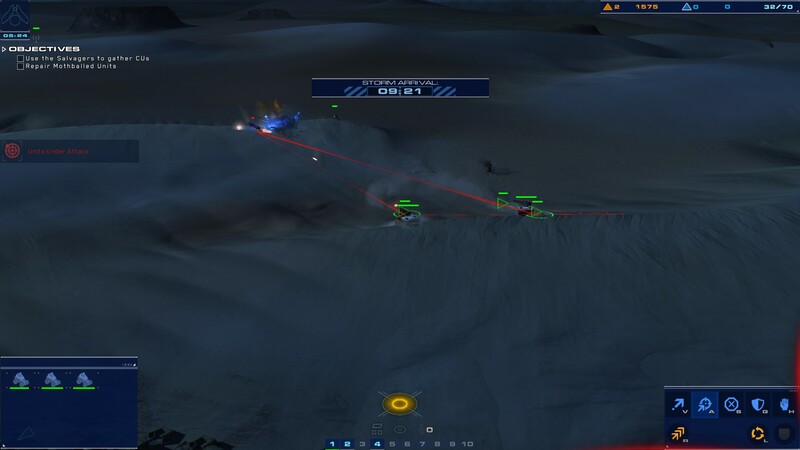 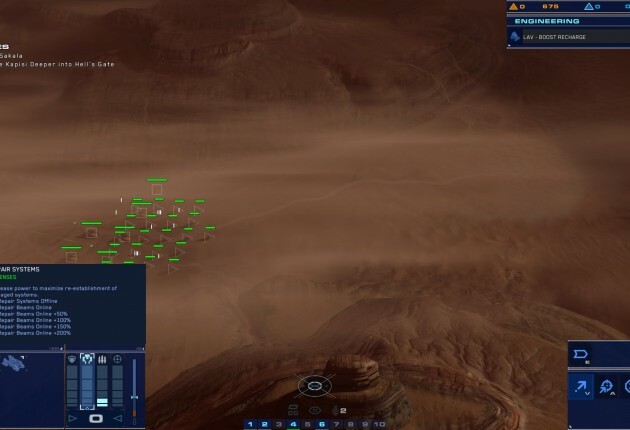 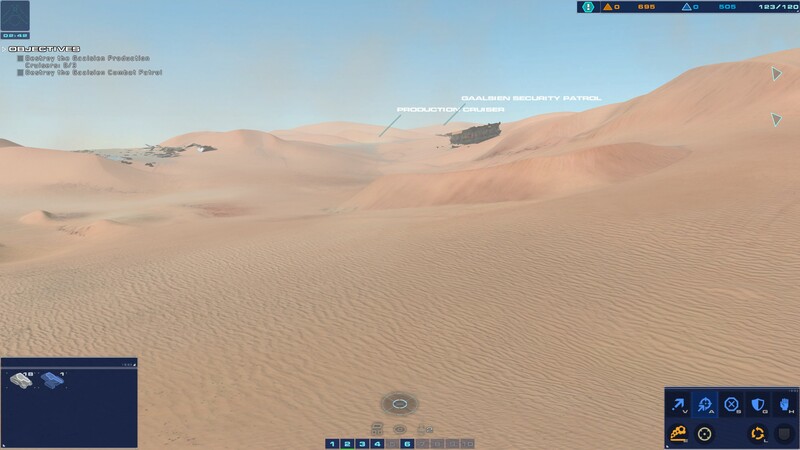 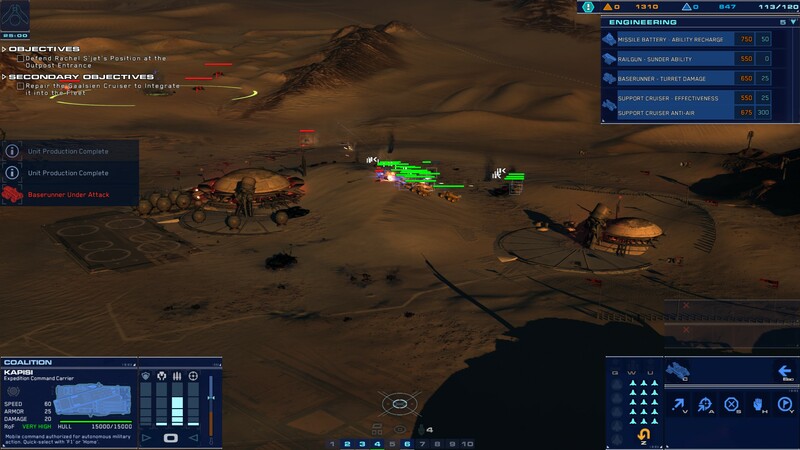 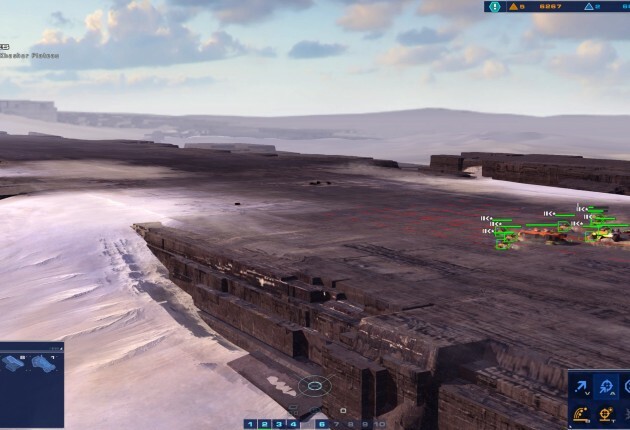 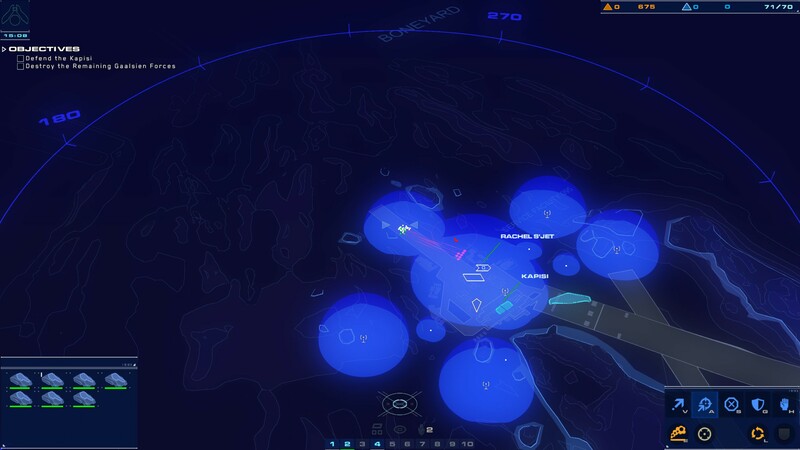 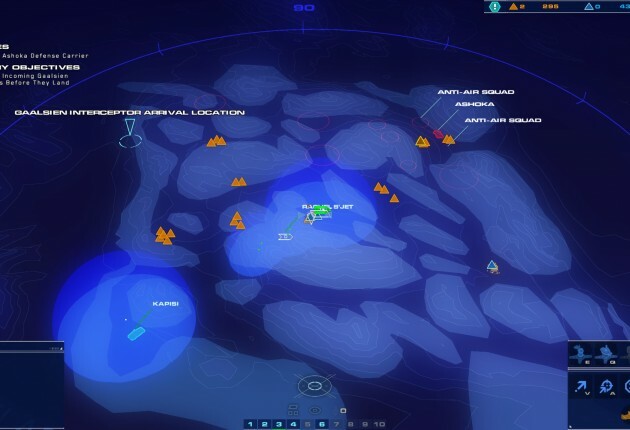 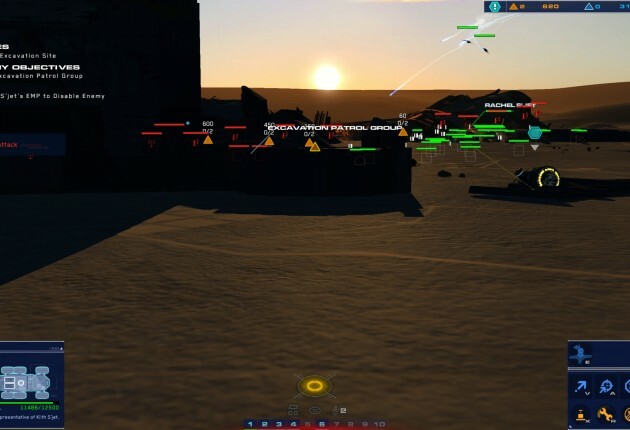 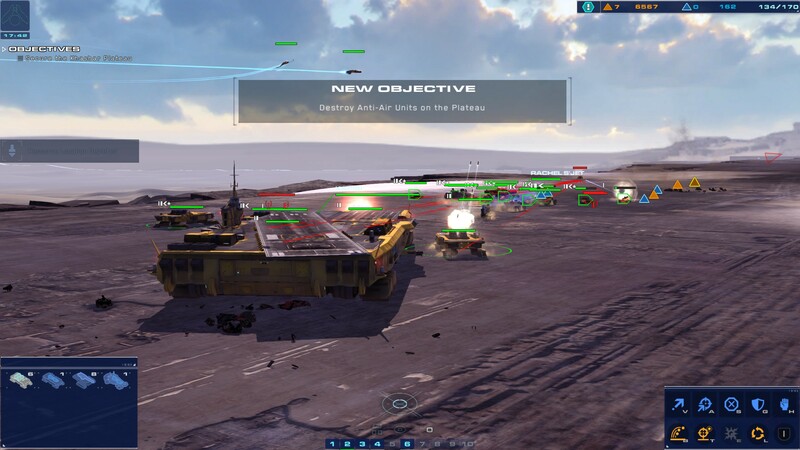 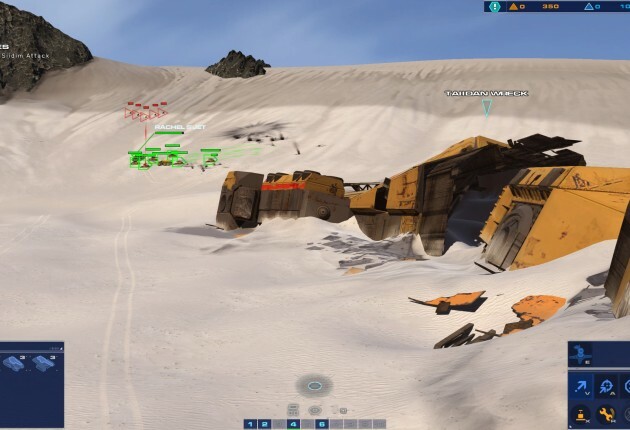 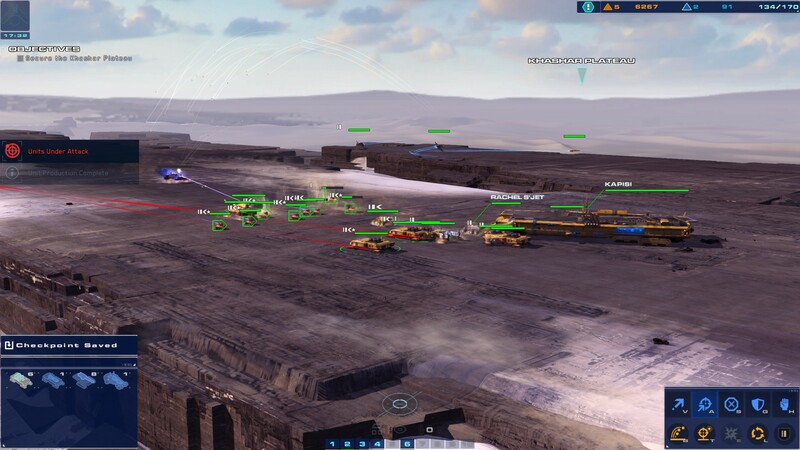 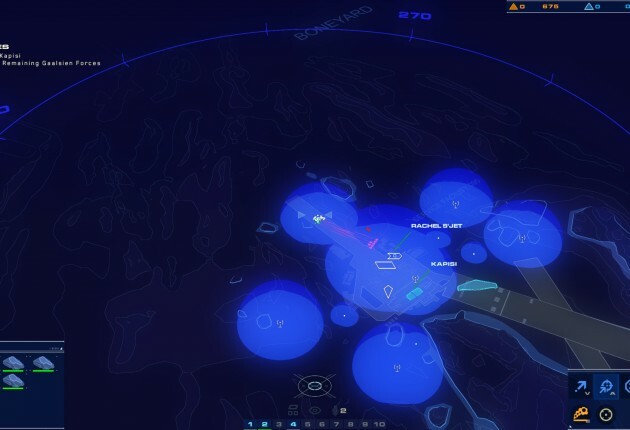 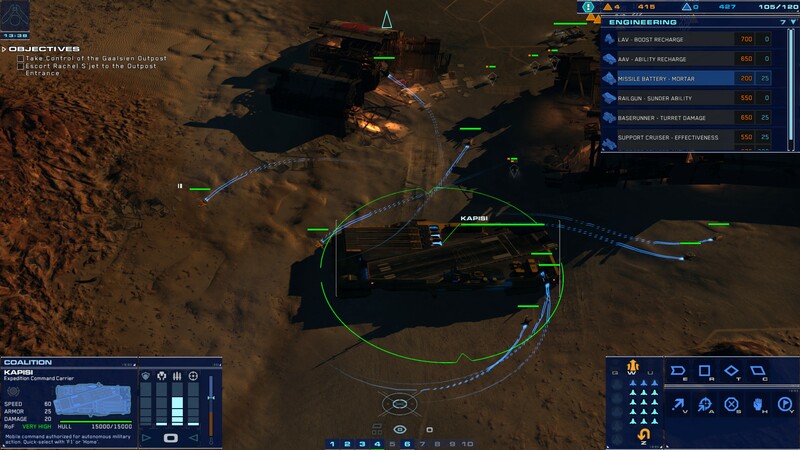 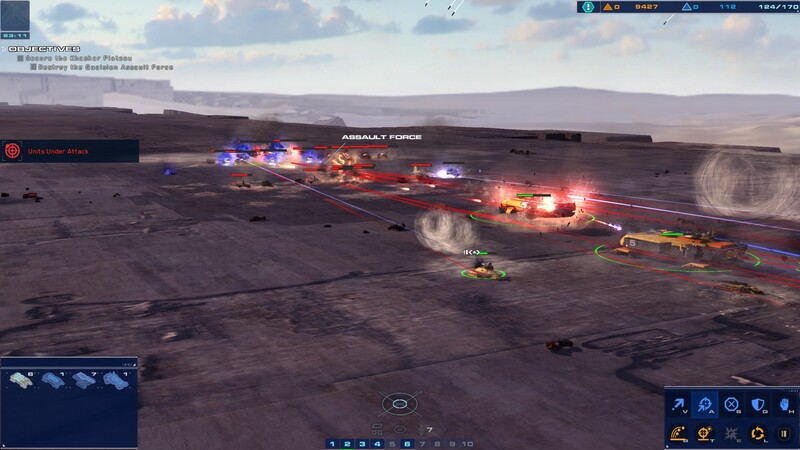 The camera controls and UI have been modernized and will feel familiar if you’ve played any real-time-strategy game in the last decade, while Homeworld veterans will feel right at home with the different tiers of units while your army centers around the Kapisi, an Expedition Command Carrier that serves as Deserts of Kharak‘s version of a mothership. 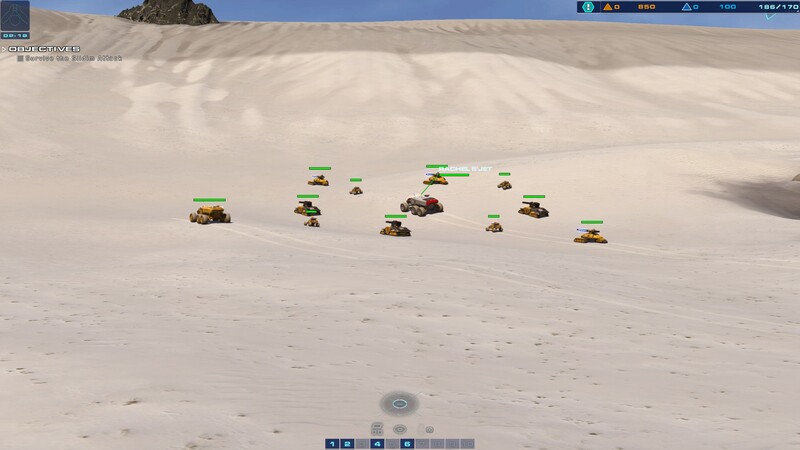 Just like past Homeworld games, all your units deploy from the Kapisi and there’s no physical buildings to construct. 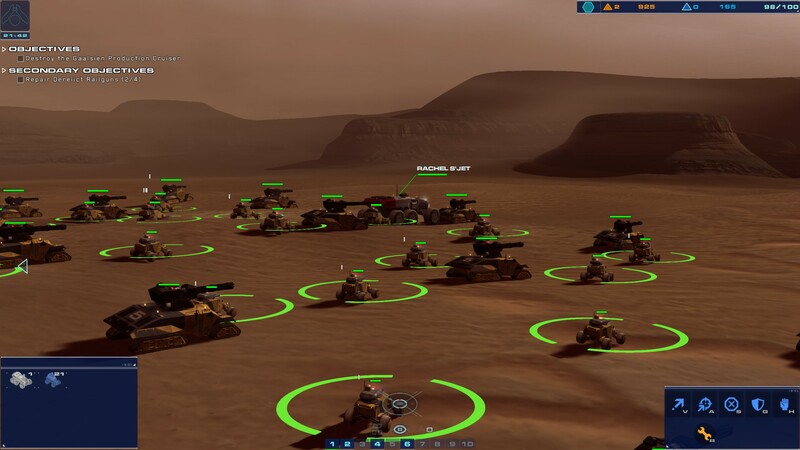 The game focuses on your mobile army and places an important emphasis on constructing the optimal army to complete your objectives. 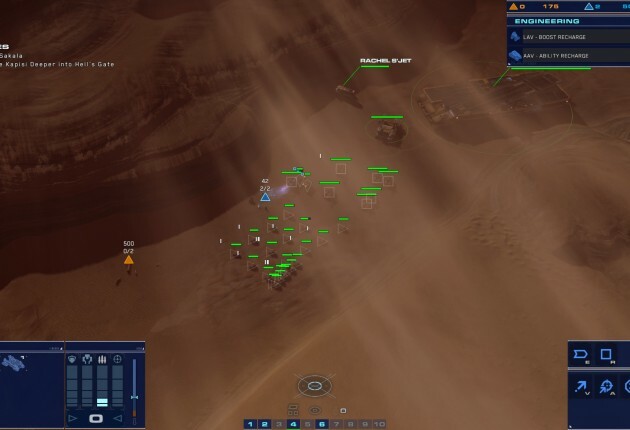 There’s no simple massing of a single unit in Deserts of Kharak if you plan on succeeding, and thankfully there’s a variety of units to make sure you don’t get bored. 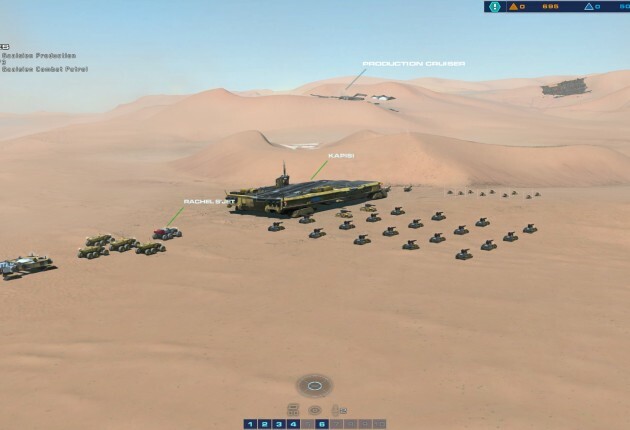 As you progress through the campaign, more and more units will be accessible and the pacing of the game is reminiscent of classic Homeworld games, starting you off with your Basic units before carrying into Heavy, Aircraft and Cruiser types. 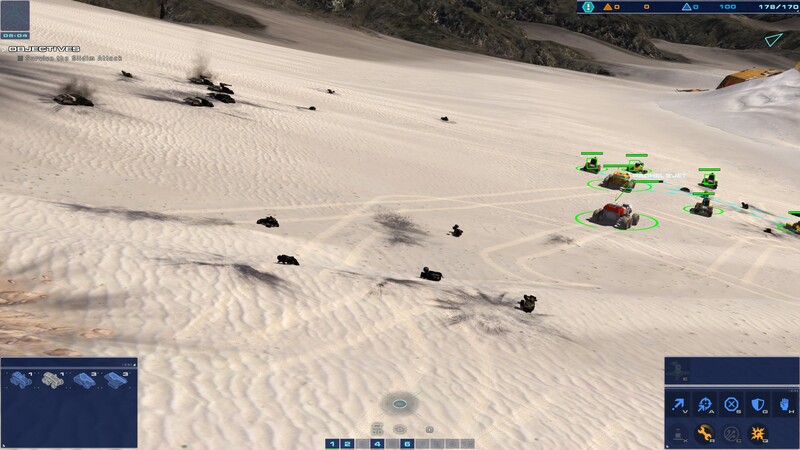 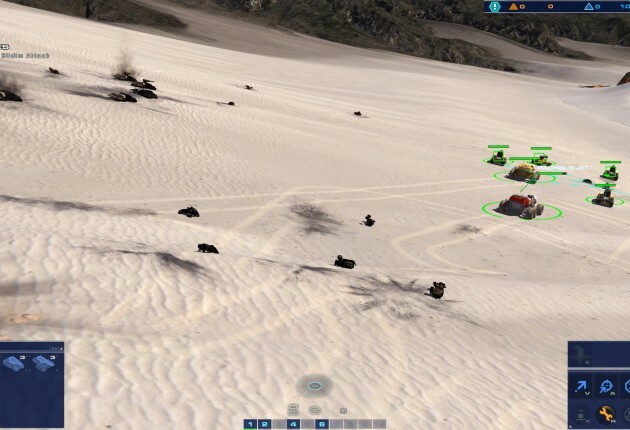 Vehicle movement is incredibly accurate and units move like you would expect them to. 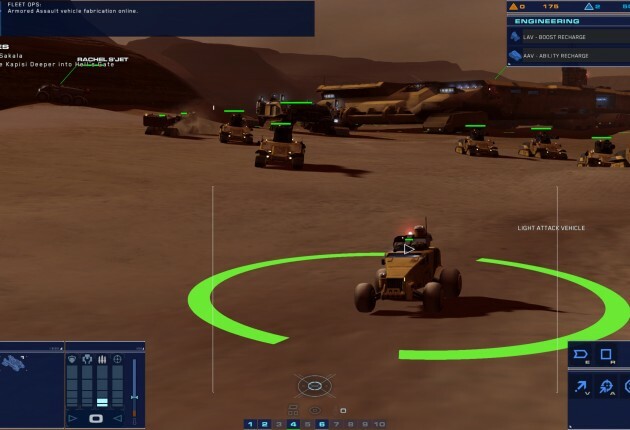 Units can also “level up” and become Veteran Units, benefiting from special bonuses like +100 to vehicle hull and 100% weapon damage. 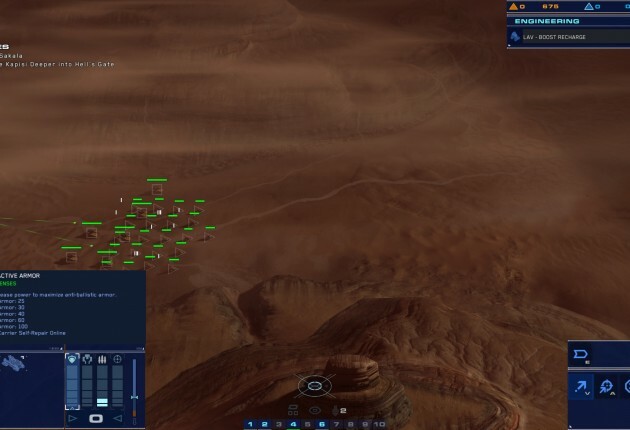 It gives you an incentive to keep your units alive so that they can gain experience, because once they’re gone, they’re gone for good. 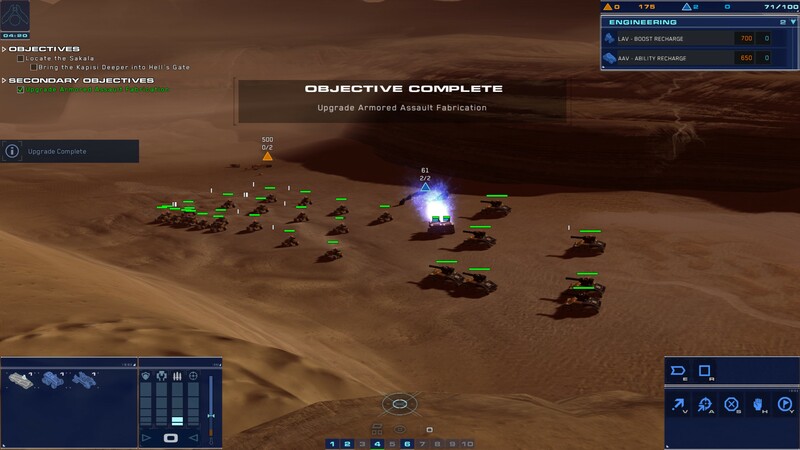 Of course your army carries over from mission to mission in true Homeworld fashion, and if you’ve played the past games you’ll know to stay alert to gathering all the available resources on each mission before completing your objective. 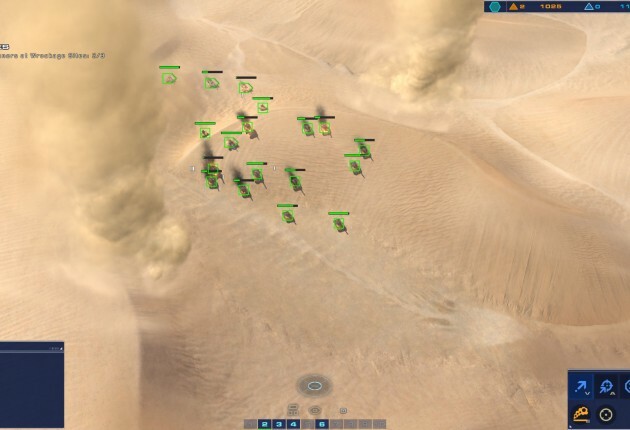 In addition to ground units, Deserts of Kharak features Aircraft units, such as Bombers and Gunships, that can be sent from the Kapisi. 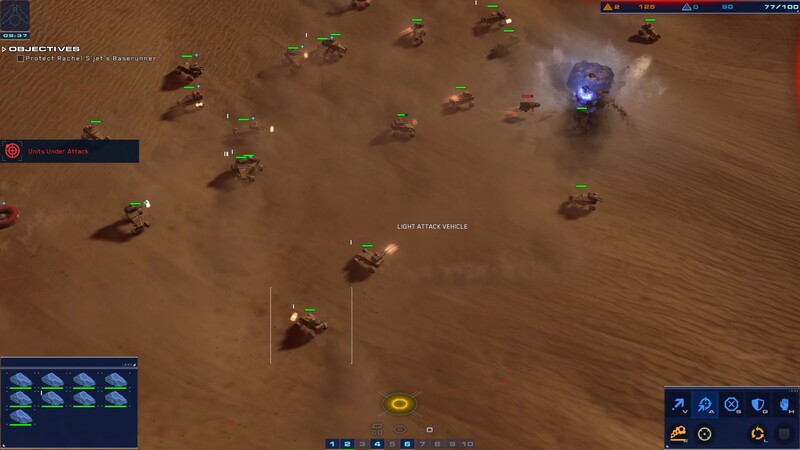 They end up playing a major role in turning the tide of battle, allowing you to quickly dispense fighters to a location if your ground units can’t make it there in time. 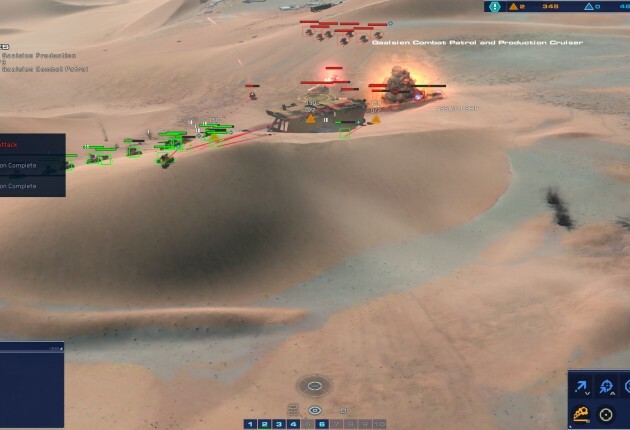 The Kapisi itself isn’t entirely defenseless either and players can adjust its power load to bolster its Reactive Armor, Repair Systems, Turret Network or Range Systems. 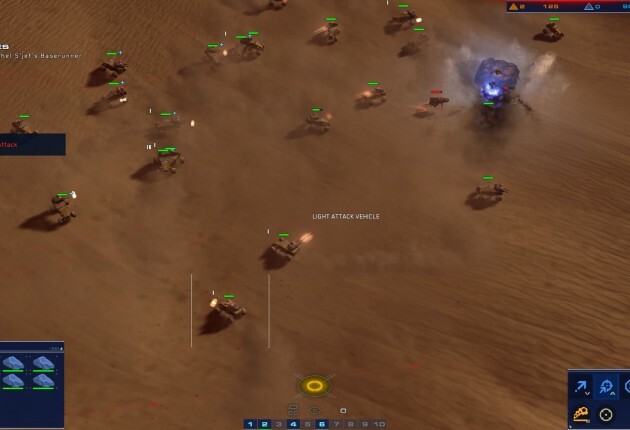 That means you don’t have to haul your army back every time the Kapisi gets attacked, you can simply shift the power load to Turret Network and have it defend for itself. 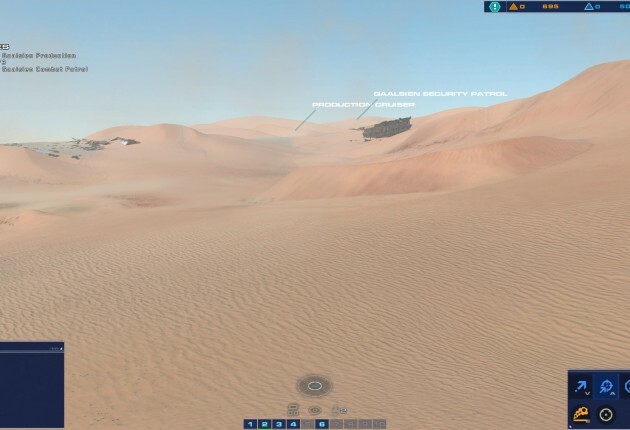 The barren dunes of Kharak make for a beautiful setting. 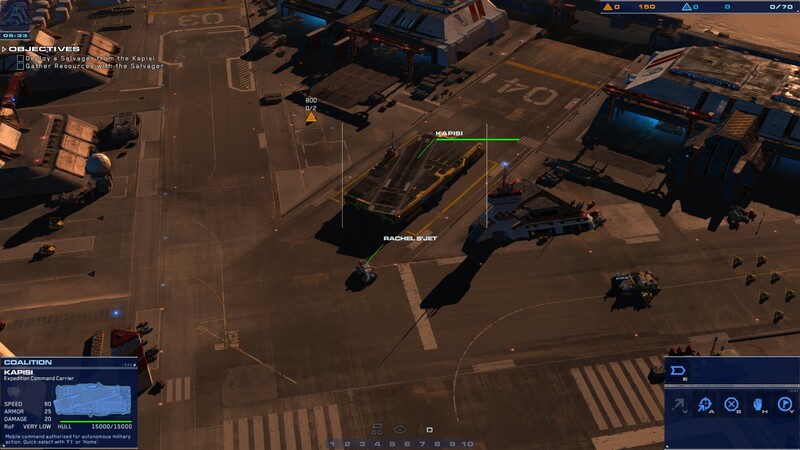 Another new twist to Deserts of Kharak is the focus on Rachel S’jet, who serves a similar role to how Heroes are used in Warcraft III. 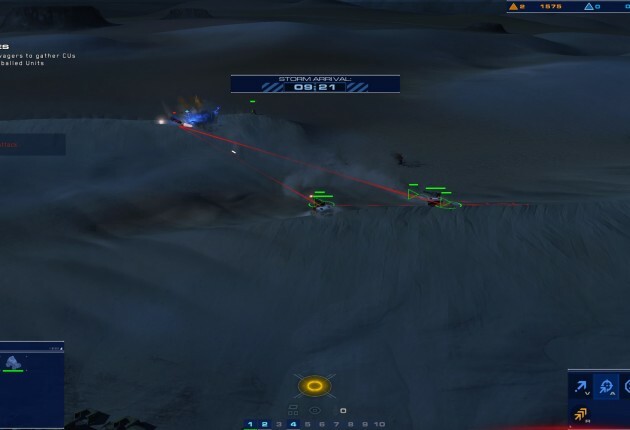 Rachel has skills in her Science Team Baserunner, like an EMP that can disable enemy units in an area, or the ability to Hack a unit, allowing you to take control and incorporate it into your fleet. 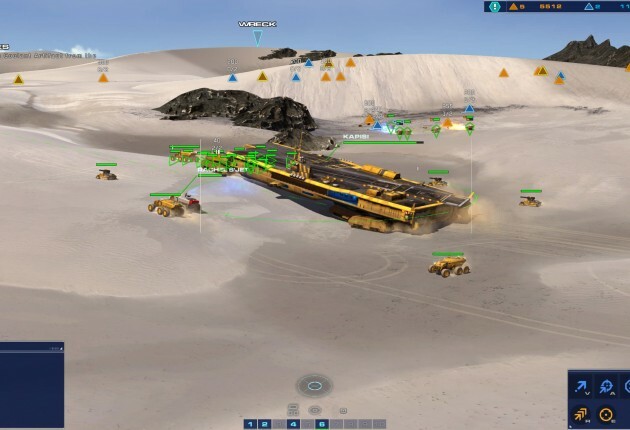 She also plays an important role in blowing up Wreck Bulkheads throughout the game, which is your primary way of getting additional resources as well as gathering Artifacts. 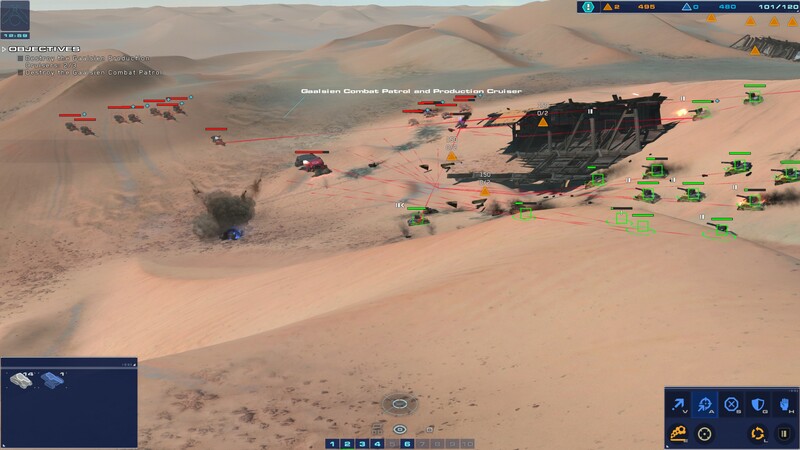 Now given that Deserts of Kharak doesn’t take place in space, Blackbird Interactive took advantage of its setting to make sure it plays a pivotal part in the gameplay. 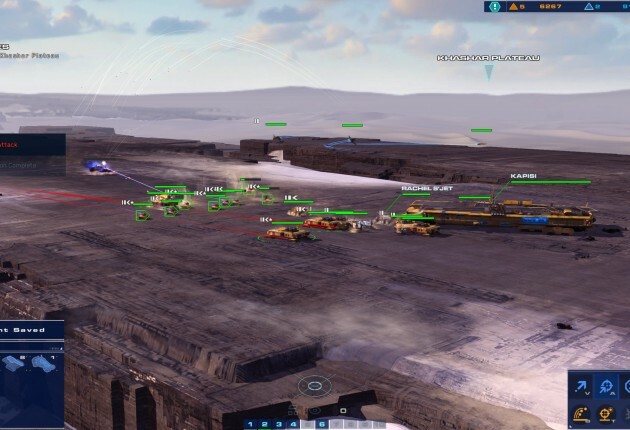 Height advantages are crucial in the game, and you’ll quickly learn in the tutorial how important it is to get your vehicles on higher ground. 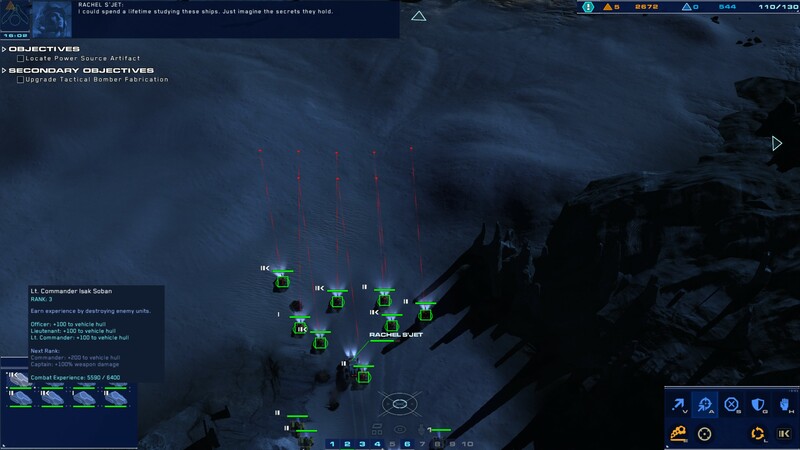 Line of sight is important as well, and the UI does a fantastic job making sure you know how and when your units are able to attack the opposing army. 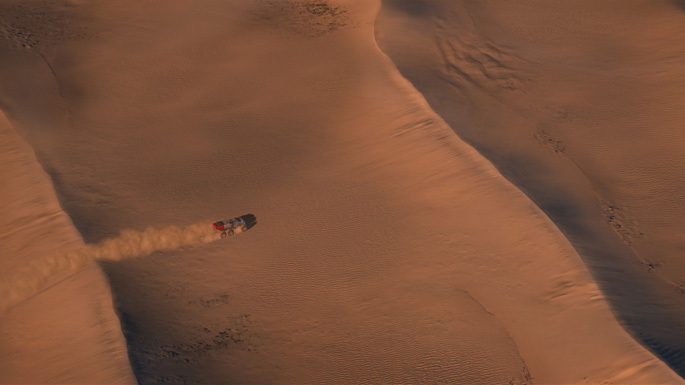 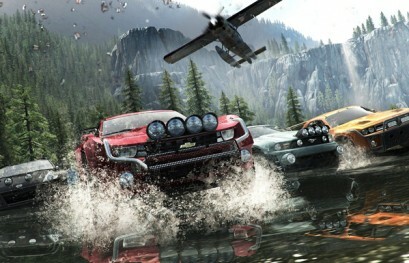 The attention to detail in the game is impressive, with each vehicle performing the way you think a vehicle should. 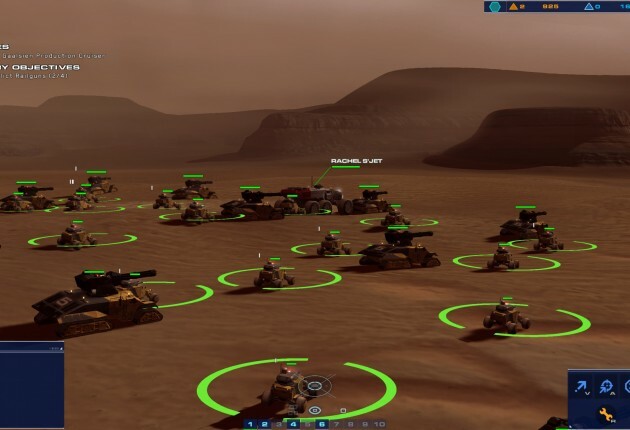 For example, if your unit is facing a certain direction and you need it to go backwards, it’ll have to do a complete u-turn to do so, rather than simply just zooming backwards. 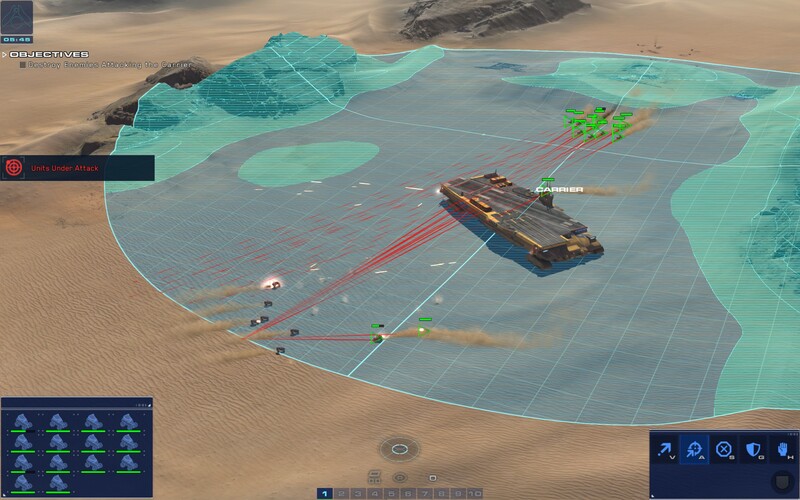 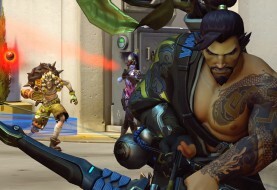 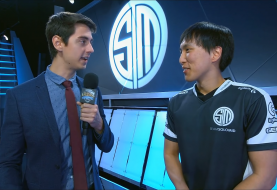 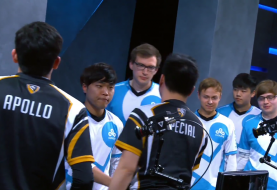 Elevation and line-of-sight play an important role in winning your battles. 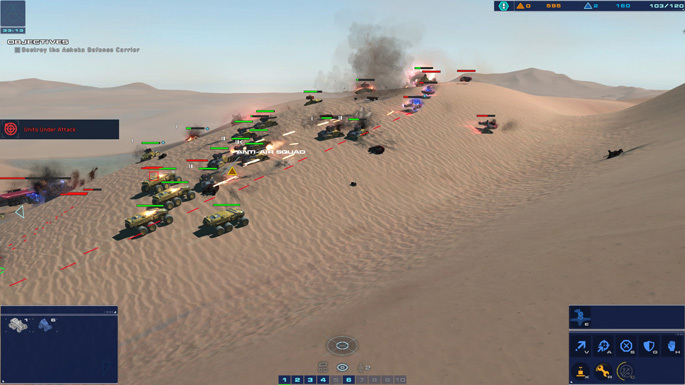 Unit movement follows the same pacing as previous Homeworld games, where the bigger they are, the slower they go. 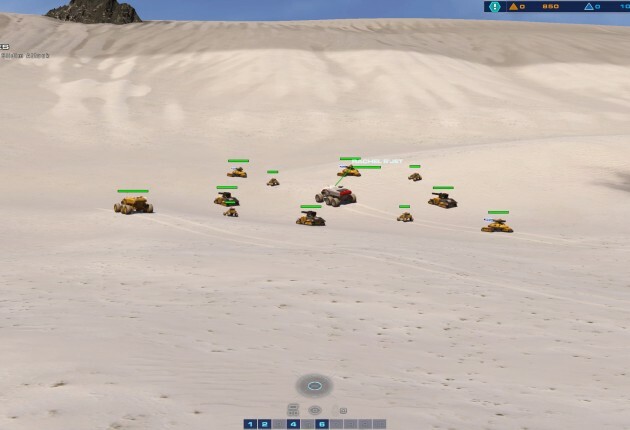 This places another emphasis on your army composition, as you will want to make sure you mix light and heavy units together so that you can quickly traverse to a position if you need to even if it’s with a light army. 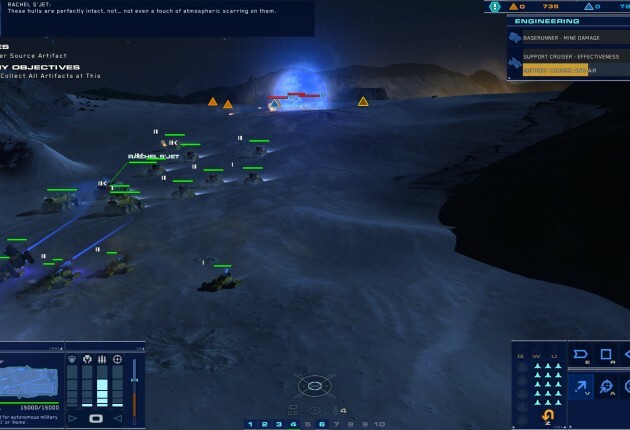 It is worth mentioning that if you’ve never played a previous Homeworld game, the series isn’t a fast-paced real-time-strategy game like StarCraft. 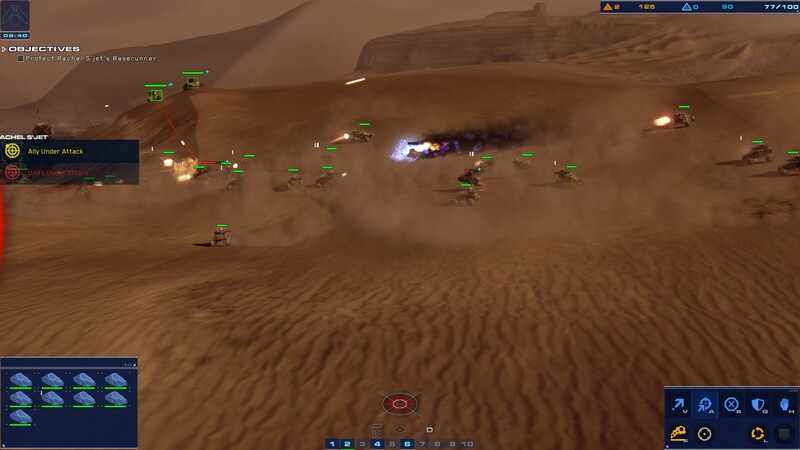 It prides itself with slower movement and lesser fights, rather than waves and waves of armies being sent every few minutes. 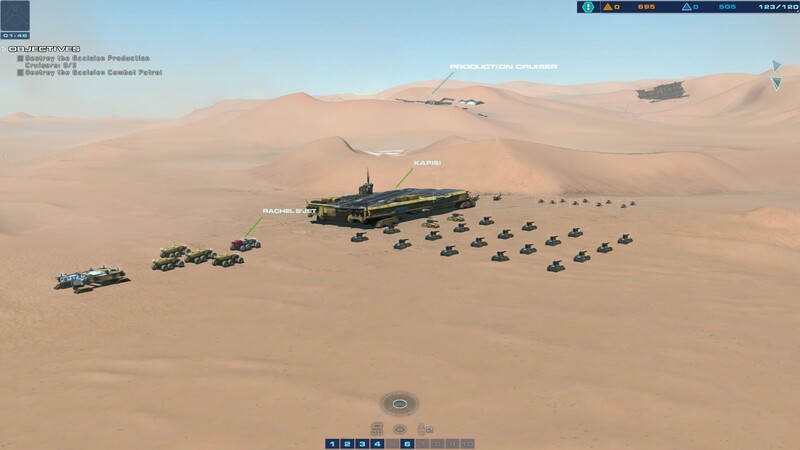 This means micromanaging your army is essentially the center of the game, which makes sense considering you don’t have to worry about building structures. 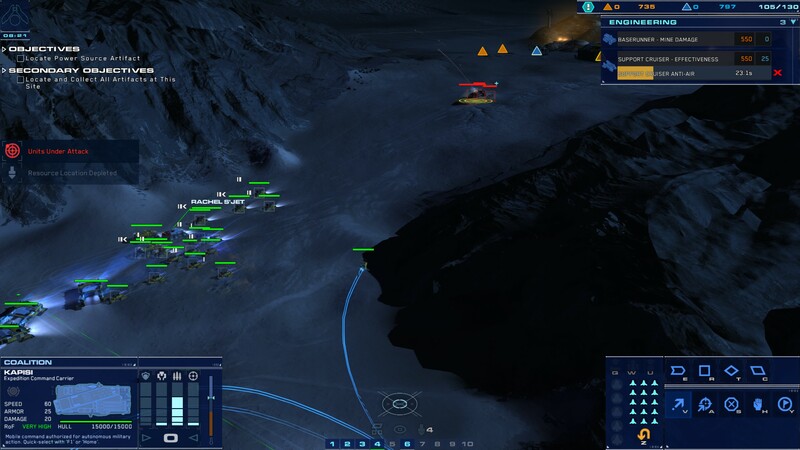 As you progress through the campaign, your fleet capacity will increase allowing you to grow your army larger and larger. 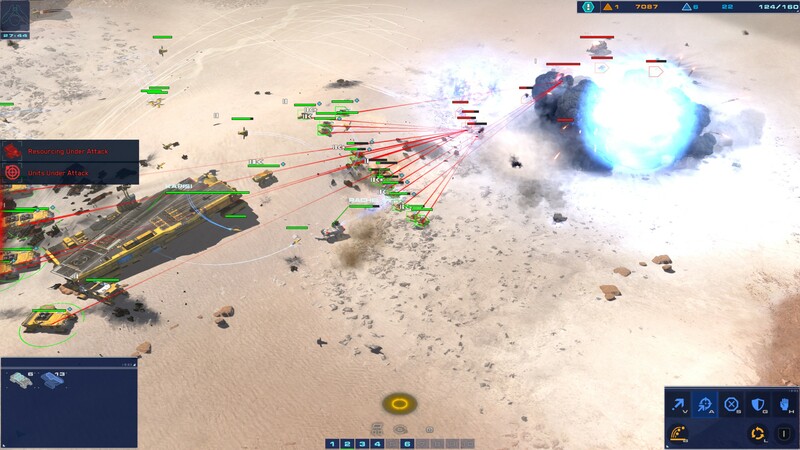 Since units and resources carry from one level to the next, making sure you win each battle with the least losses possible is your path to victory. 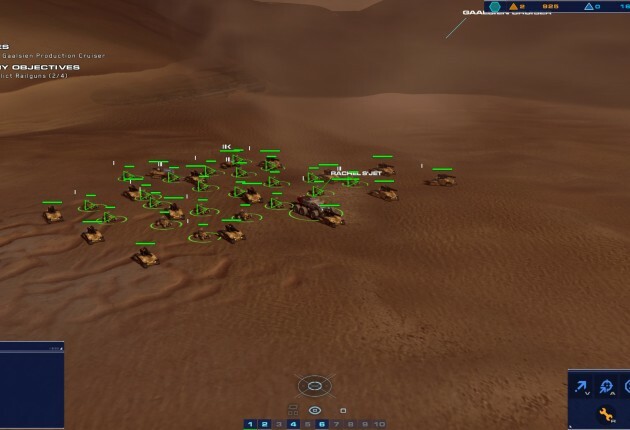 Add in Veteran Units and you could sustain quite a powerful army by the end of the story. 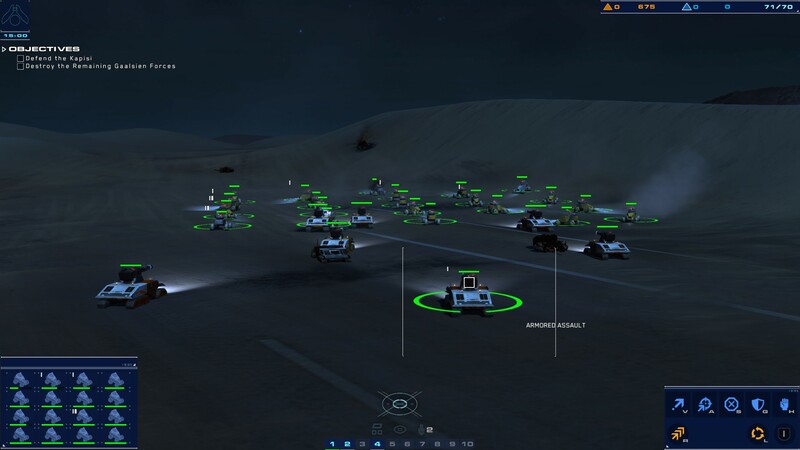 Even nighttime battles are extremely detailed – check out the headlights on the vehicles. 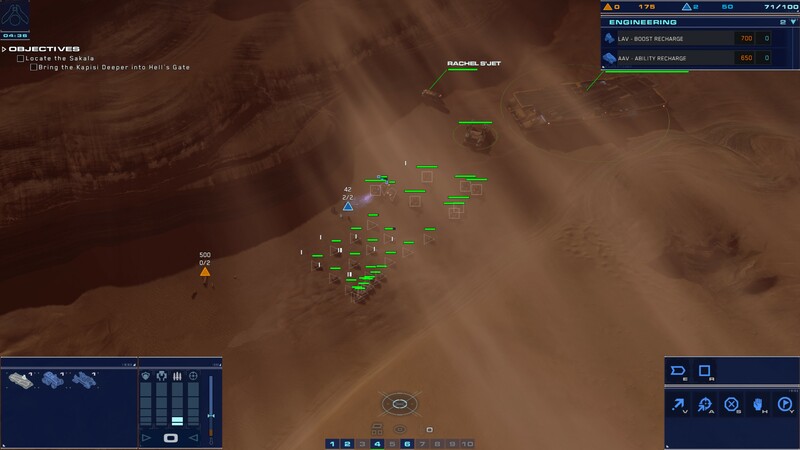 Unfortunately that’s the one thing that bothered us about Deserts of Kharak. 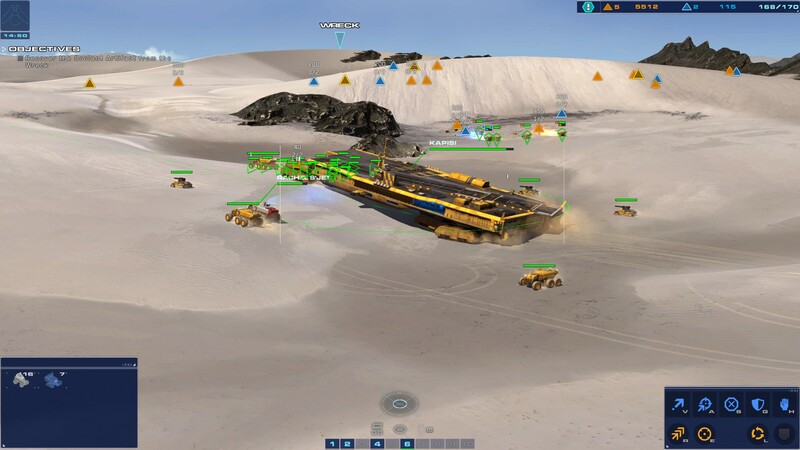 To us, the story fell a bit flat and while it does serve its purpose as a prequel to Homeworld, it just doesn’t pull you in like the original two games. 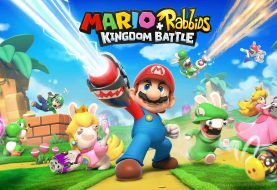 It’s not horrible by any means, but it’s fairly predictable and is simply just not memorable. 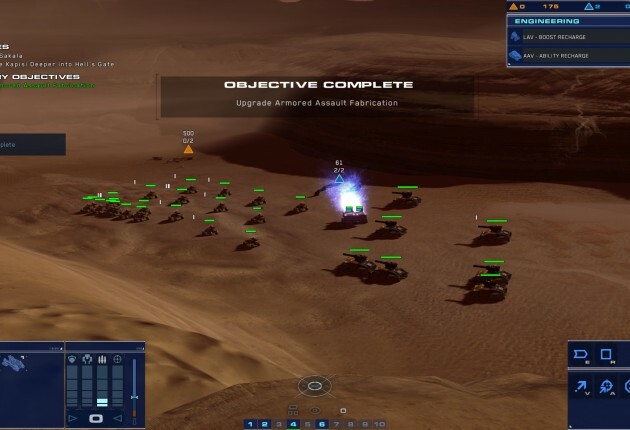 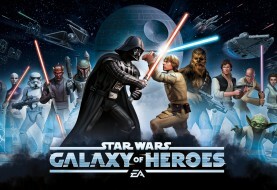 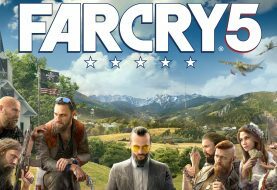 The campaign will take you upwards of 15 to 20 hours to complete depending on your skill and difficulty level you choose (Easy, Normal or Hard) and once you’ve played through the campaign you can put your skills to the test in multiplayer against other players. 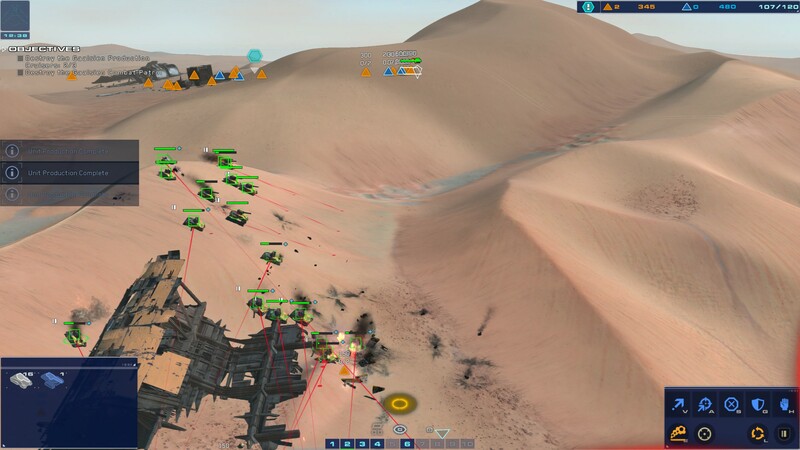 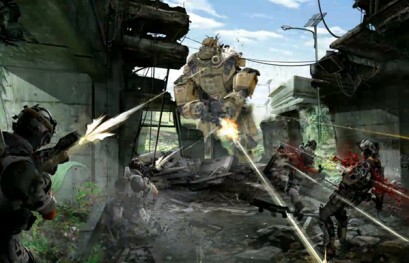 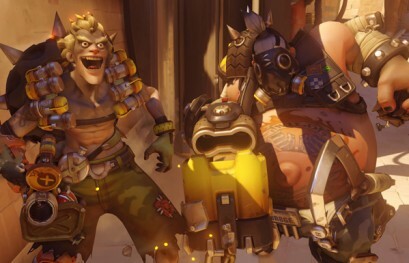 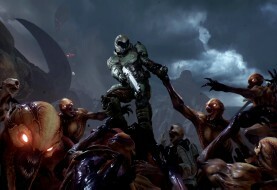 Multiplayer offers 1v1, 2v2 and 3v3 battles so you can team up with a friend or two. 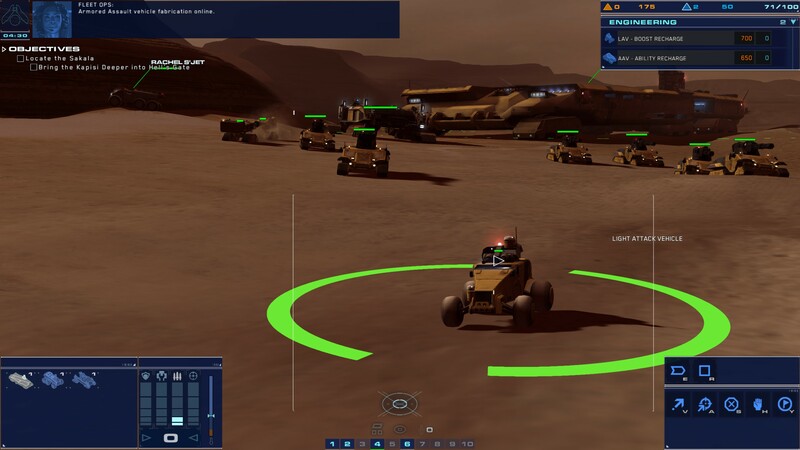 Be aware however, there are only two races to choose from in multiplayer which leaves a bit to be desired. 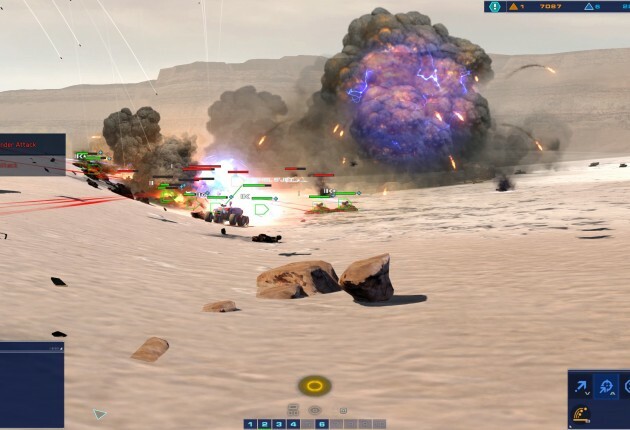 Who doesn’t love meticulously detailed explosions? 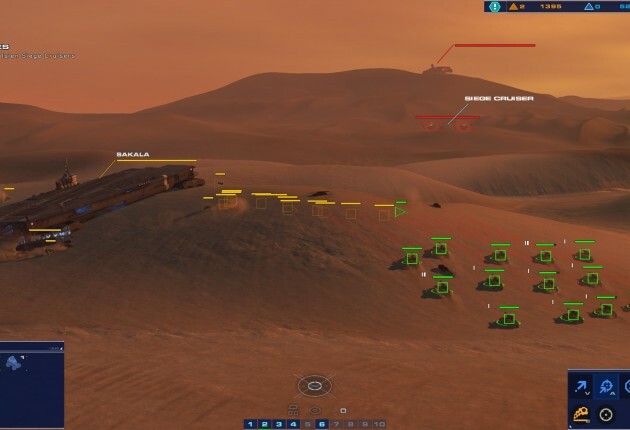 Homeworld: Deserts of Kharak is everything a Homeworld fan can ask for. 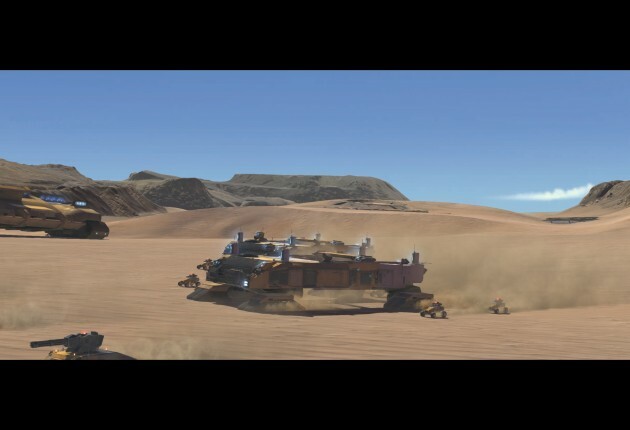 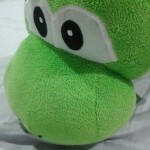 It breathes new life into a storied franchise while proving that space isn’t the only thing that made the series special. 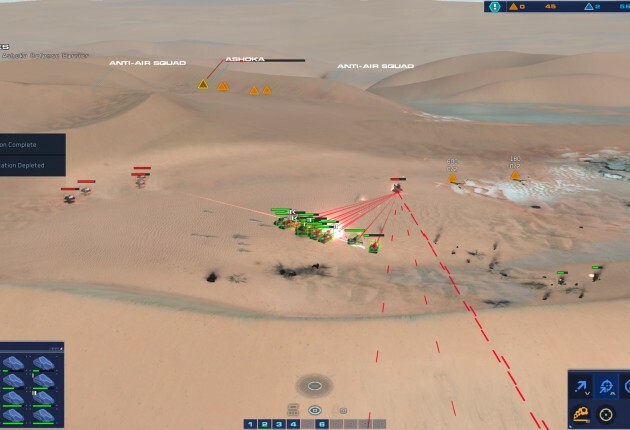 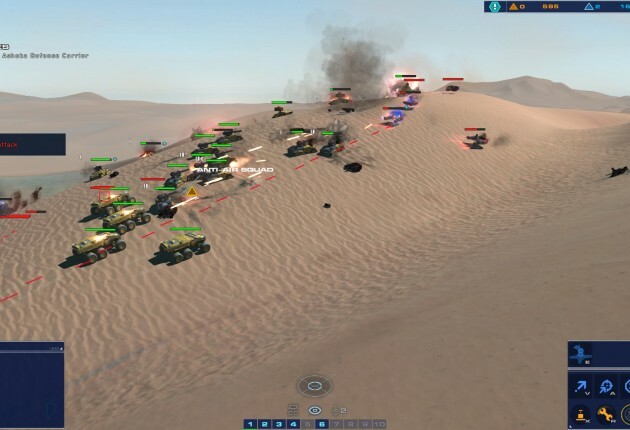 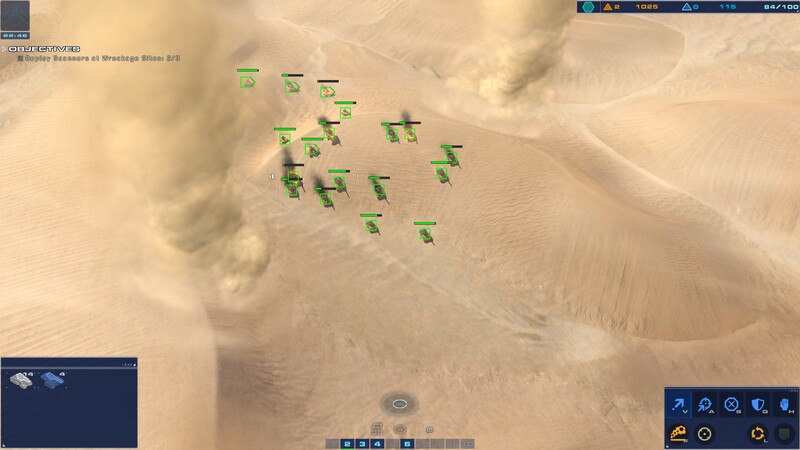 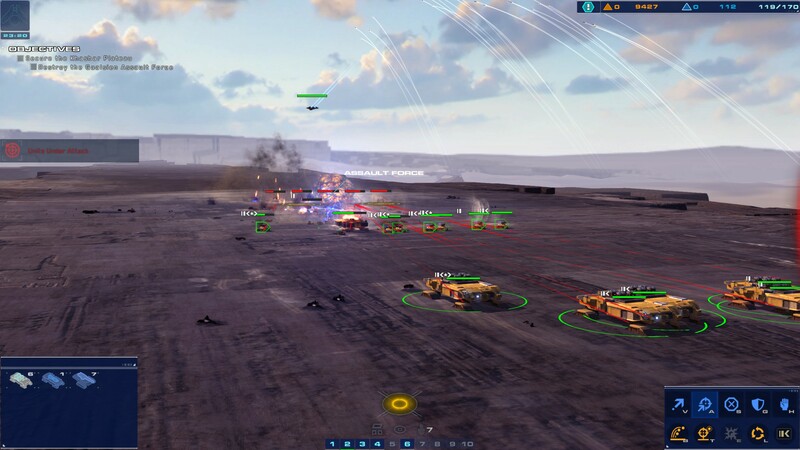 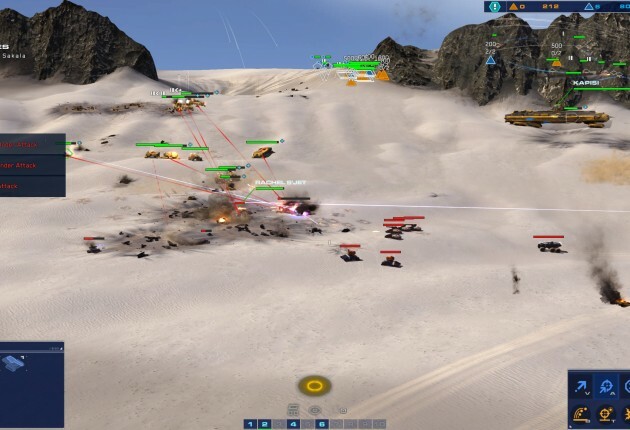 From action-packed battles to strategically assembling your army of vehicles and aircrafts, Deserts of Kharak is a modern real-time strategy game with a light dose of the past, making it one of the best in the genre yet. 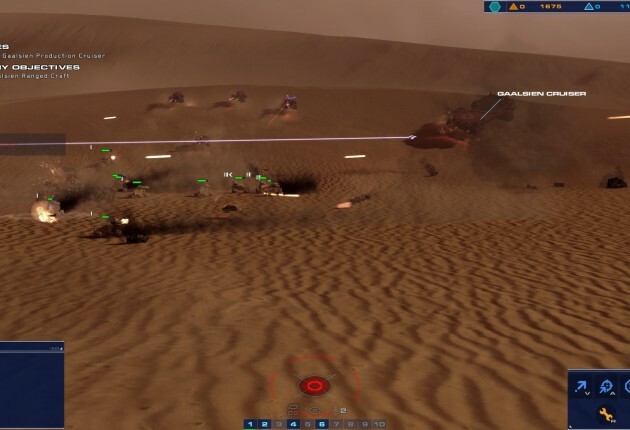 We highly recommend that you check out the Homeworld Remastered Collection if you haven’t played the original two game in the series. 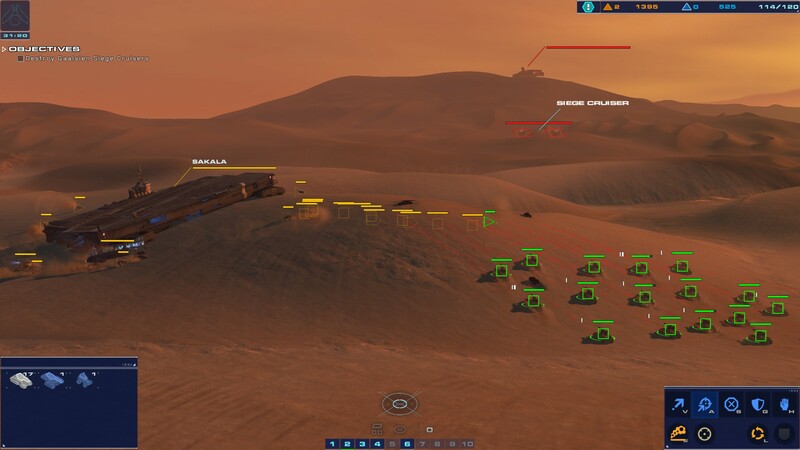 While Deserts of Kharak can hold its own as a standalone title, the experience is more fulfilling after you’ve experienced Homeworld and Homeworld 2.
Who knew a desert could look so great?